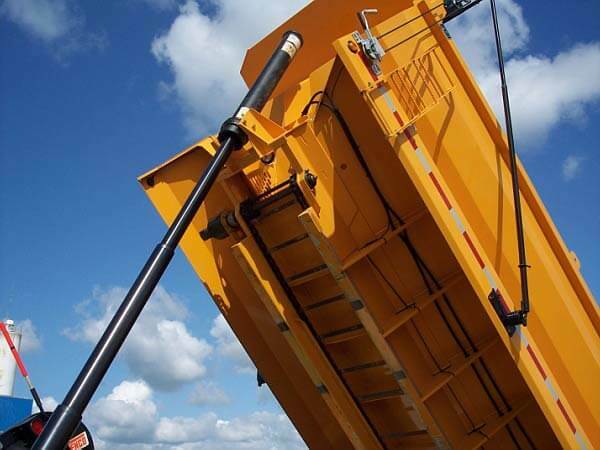 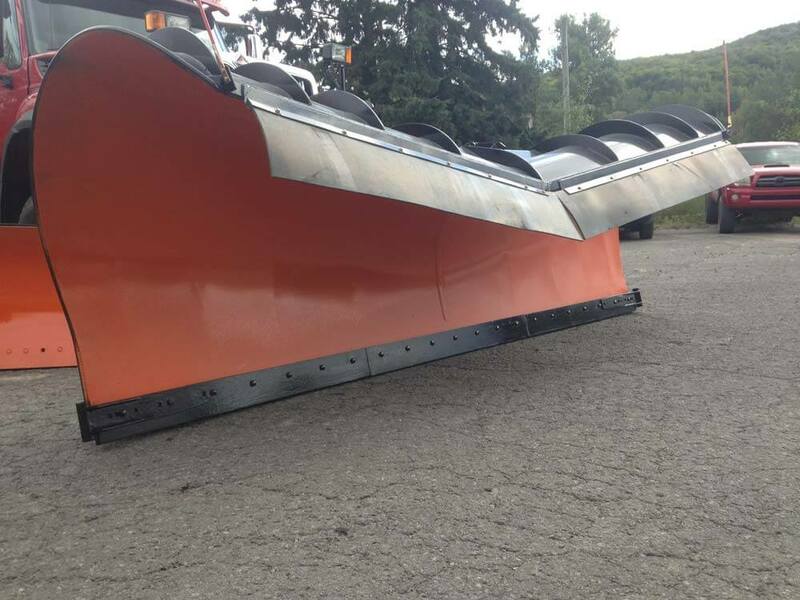 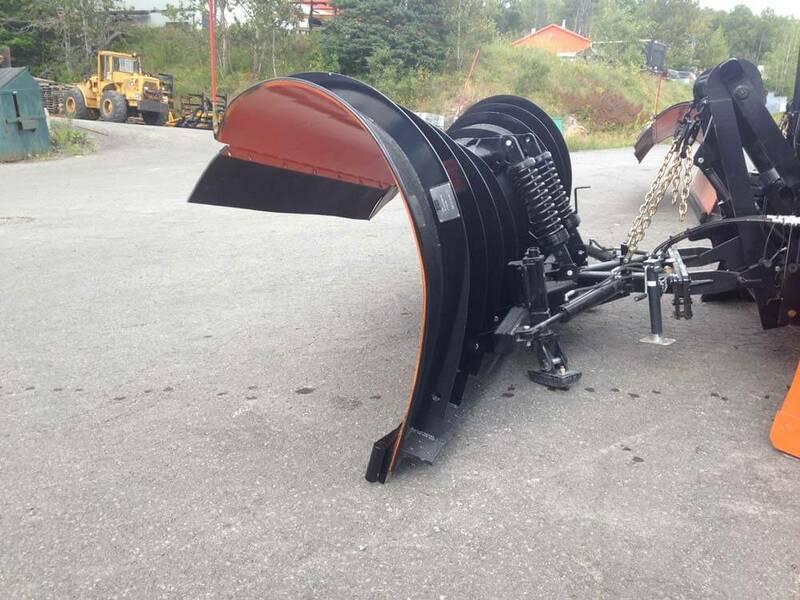 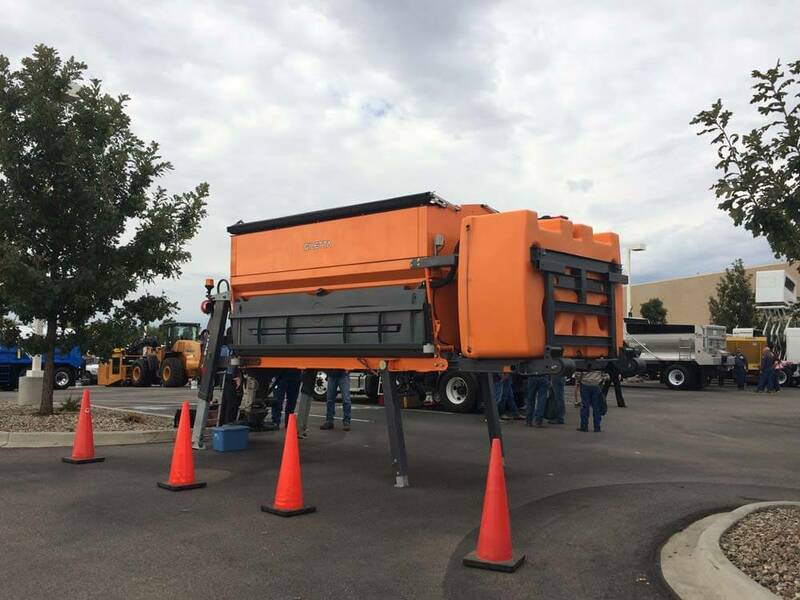 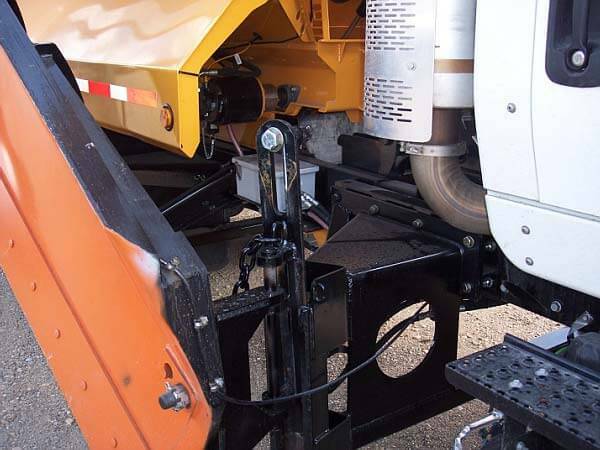 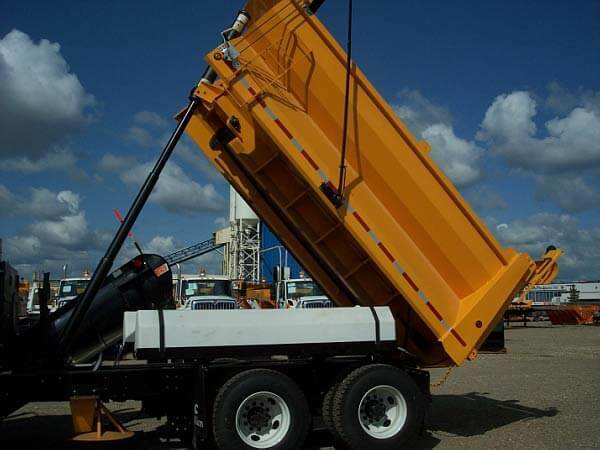 Take advantage of a dump body/spreader with the U-COMBO model. 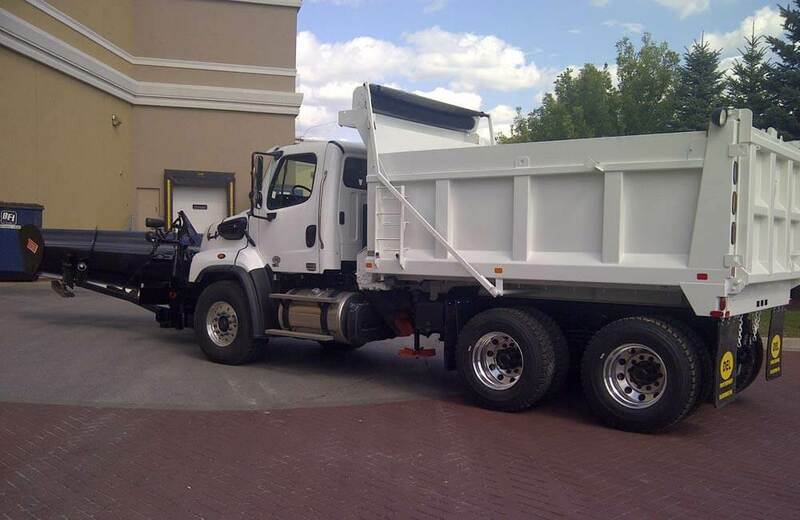 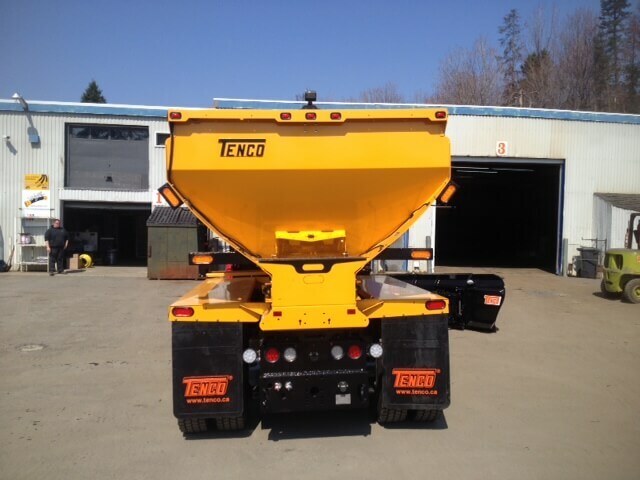 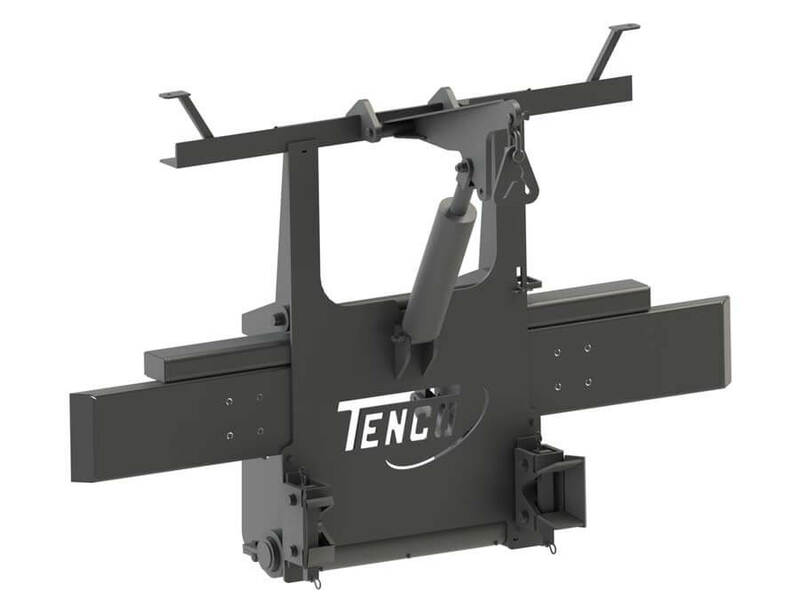 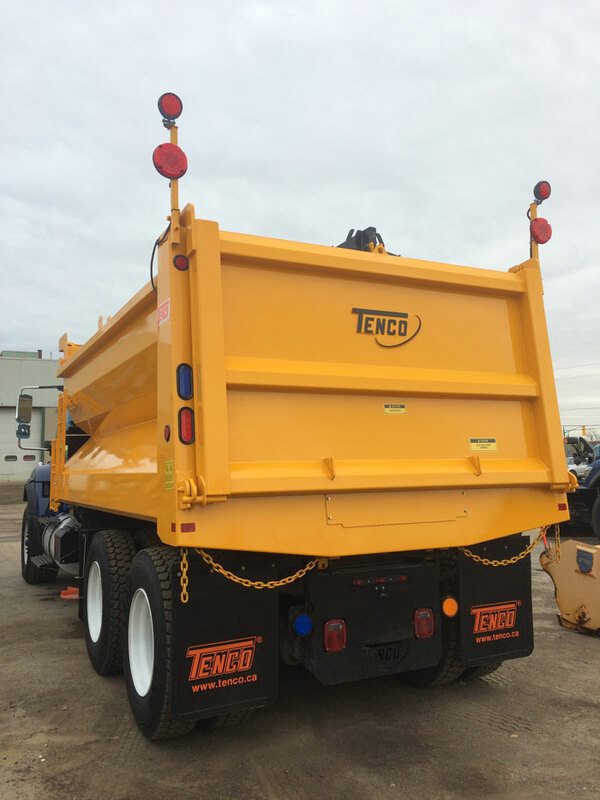 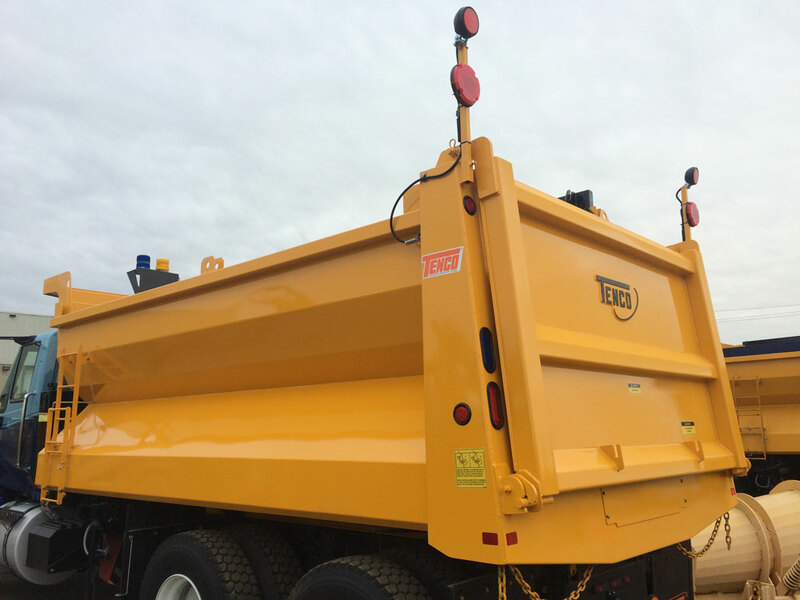 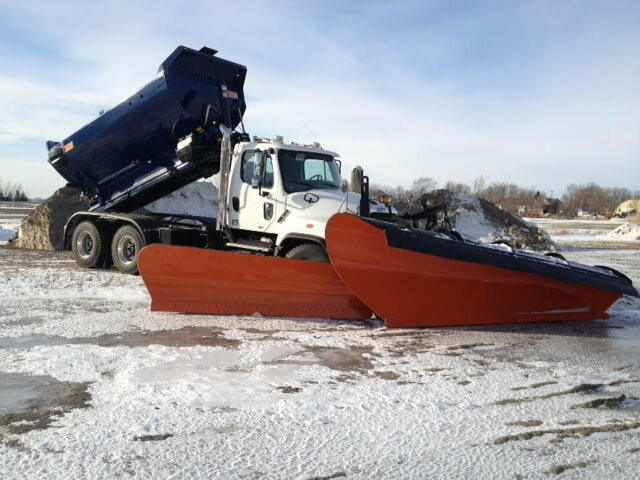 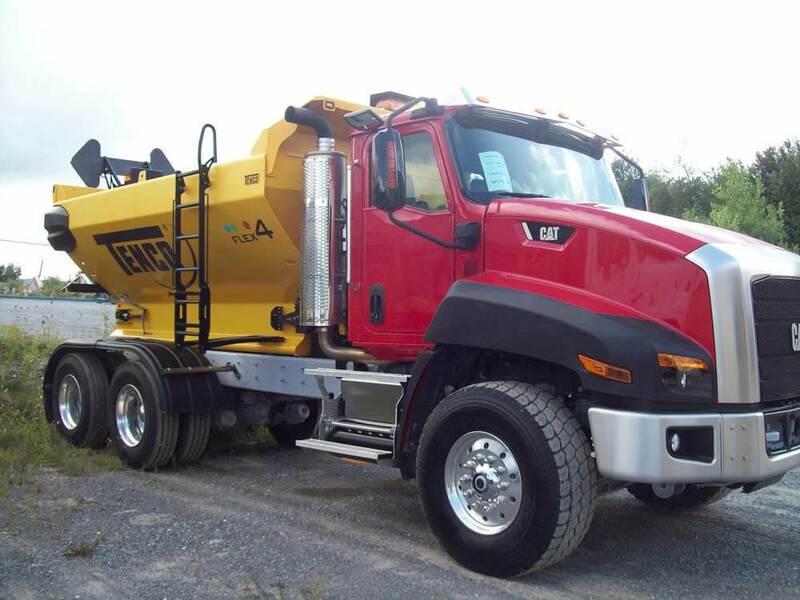 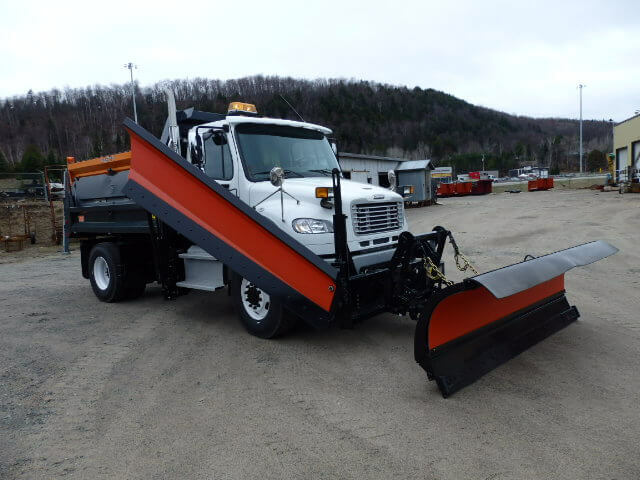 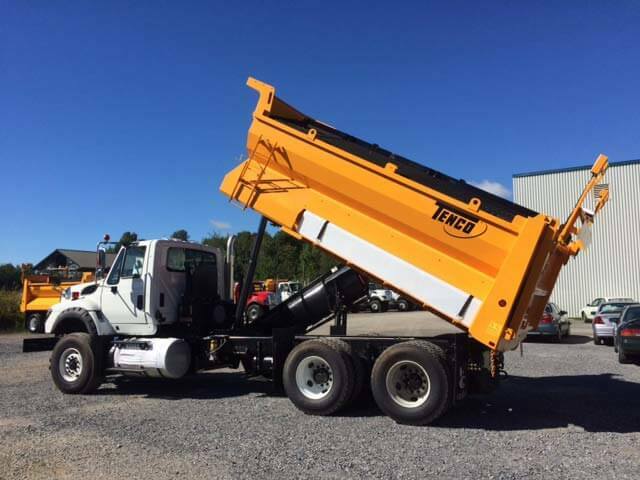 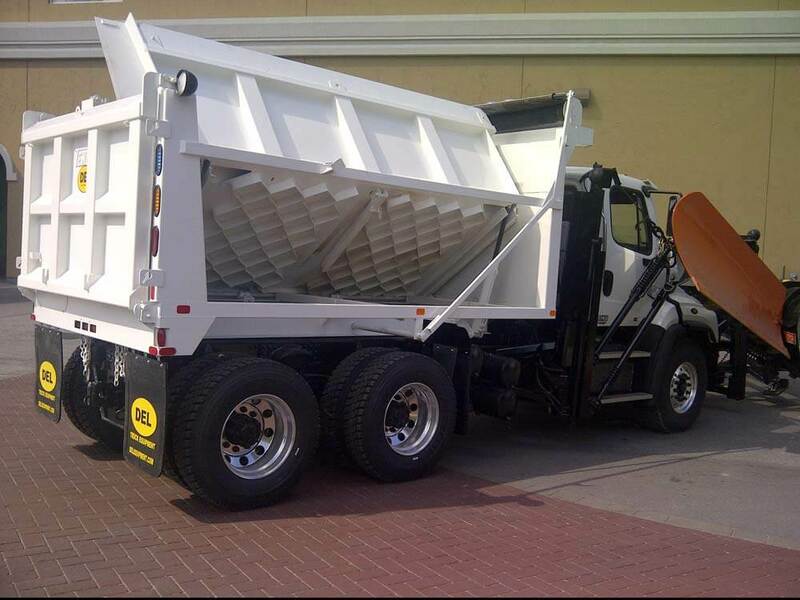 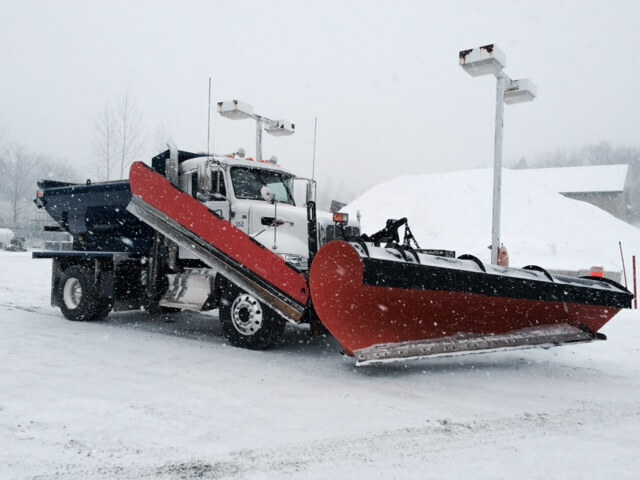 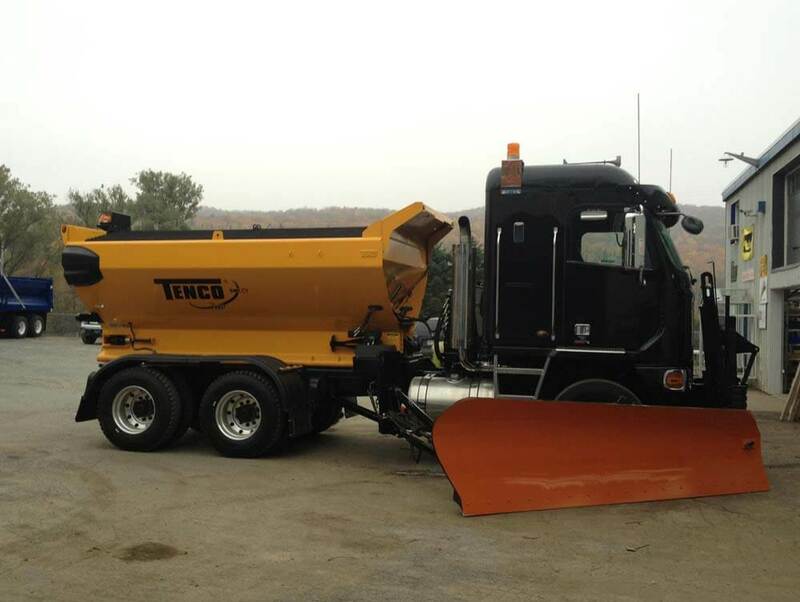 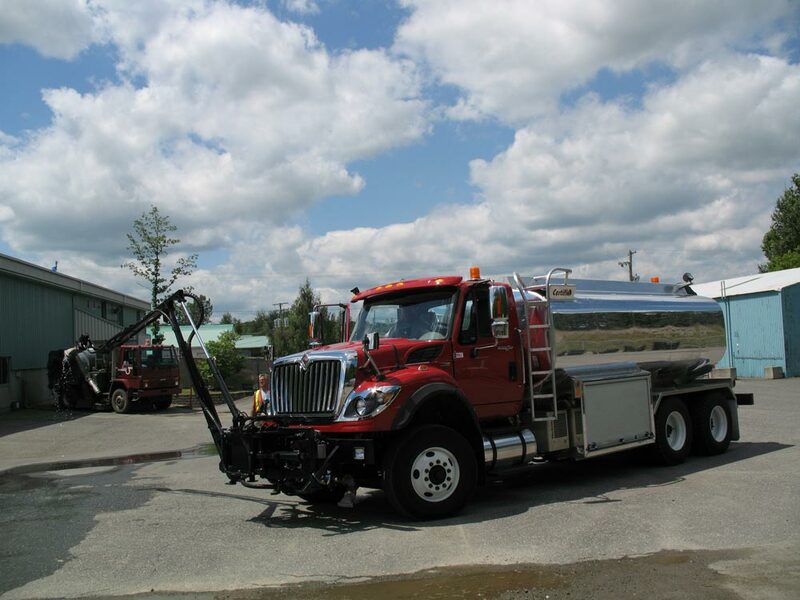 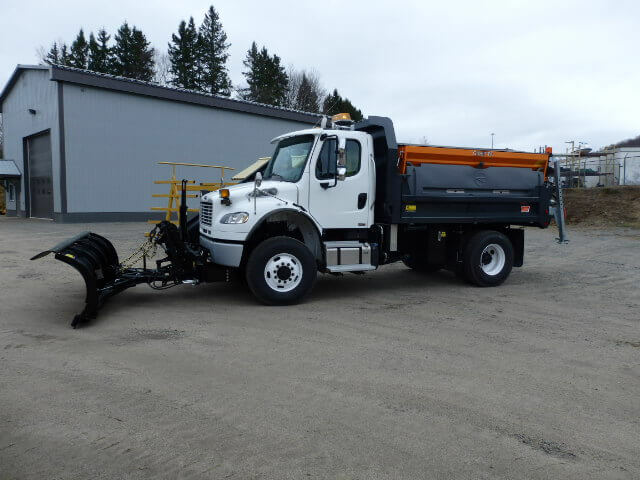 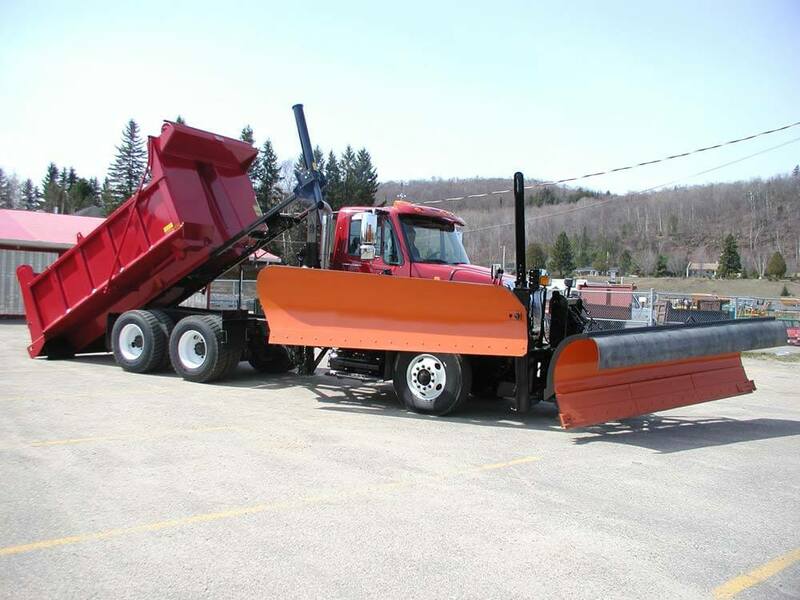 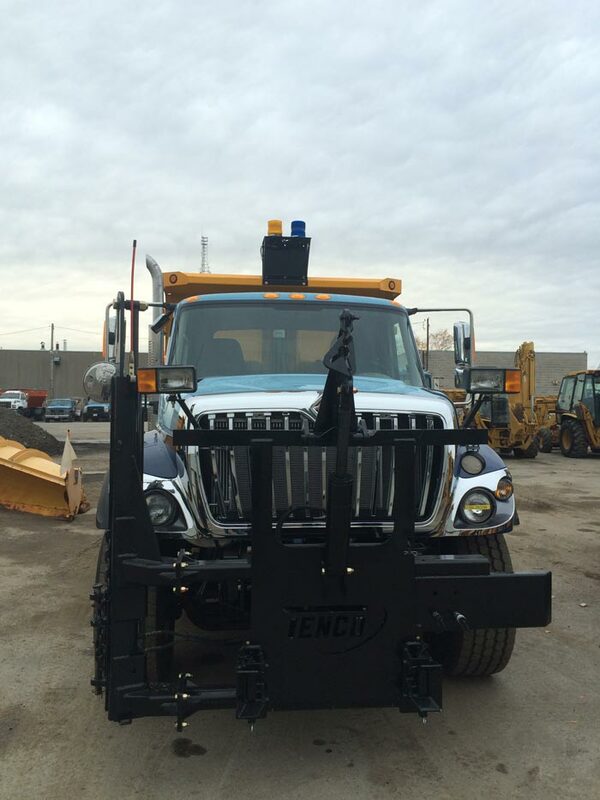 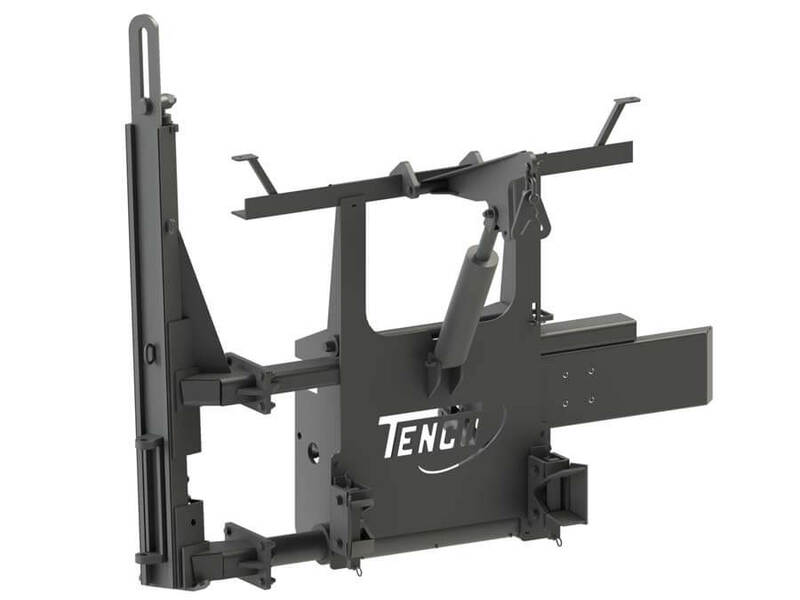 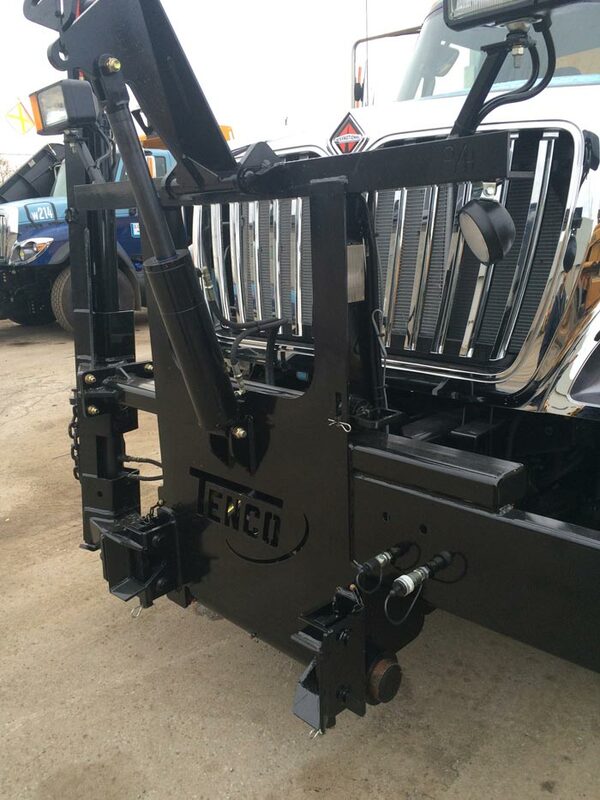 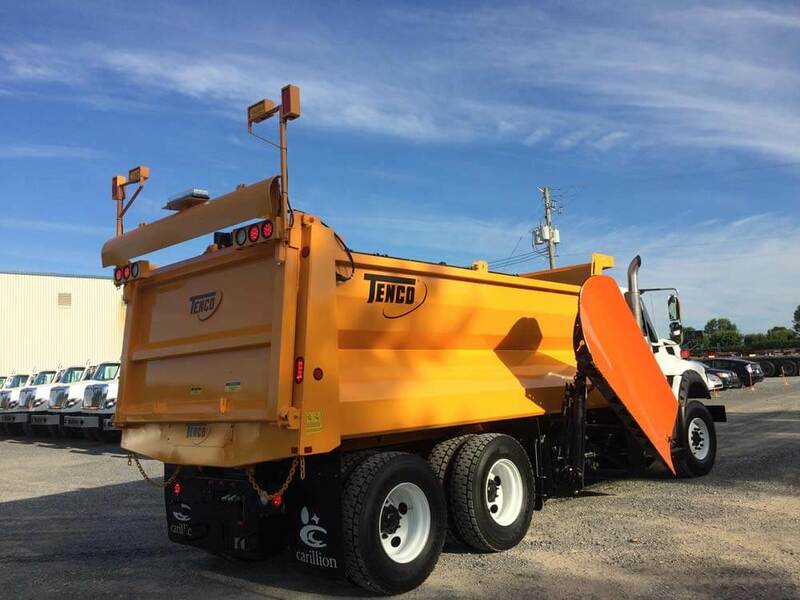 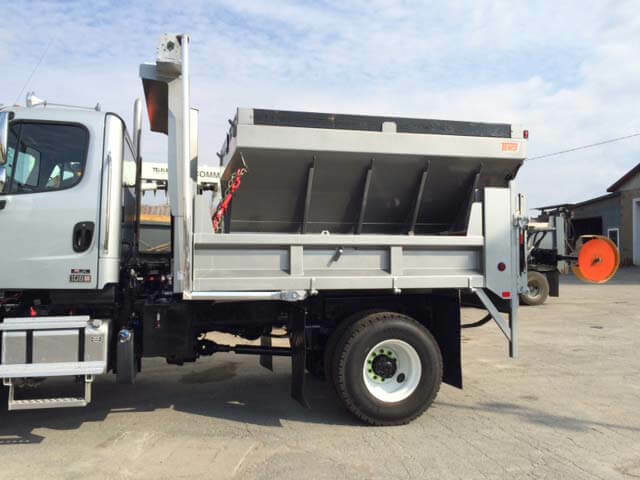 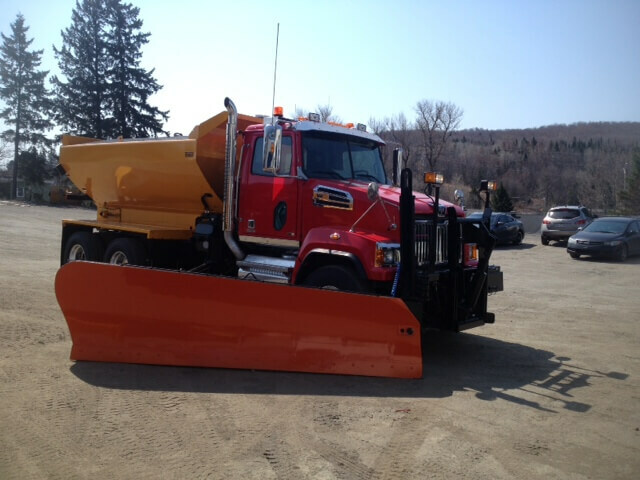 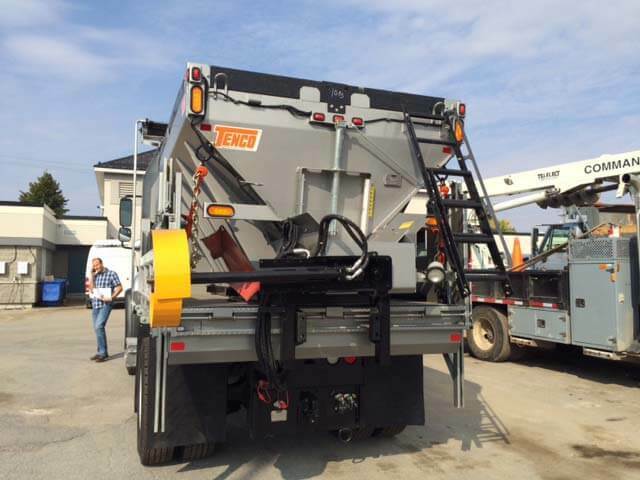 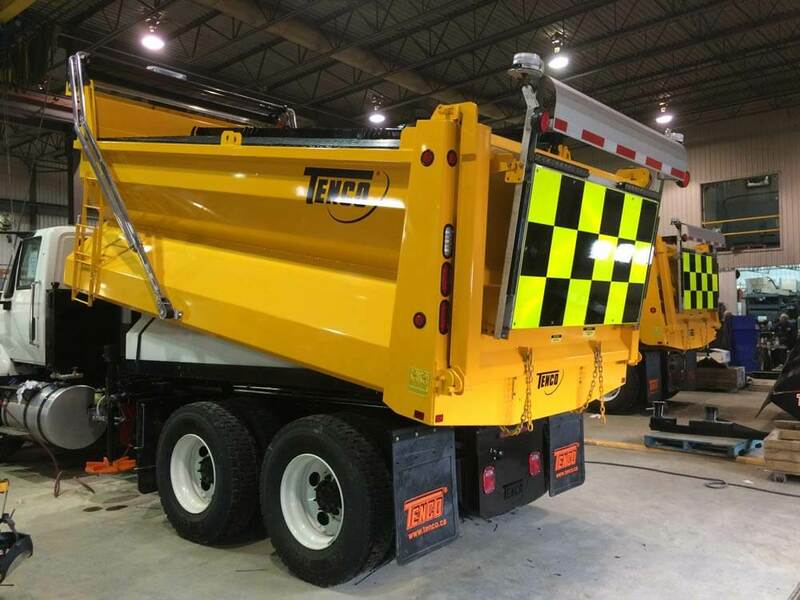 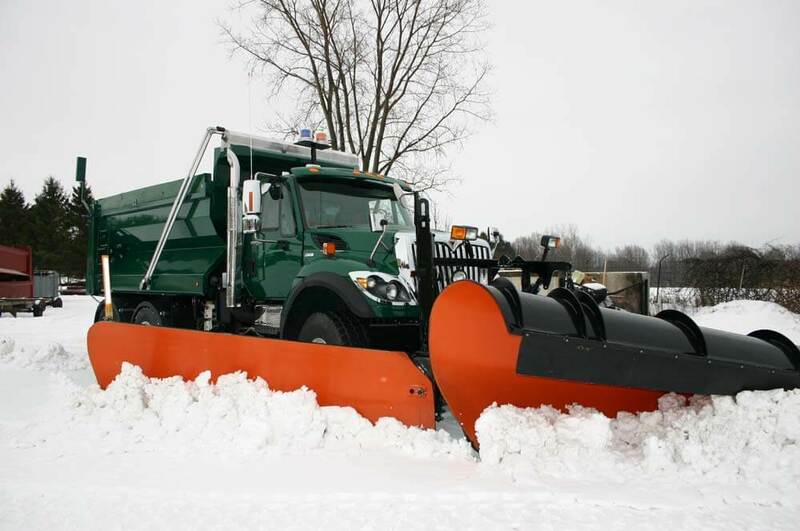 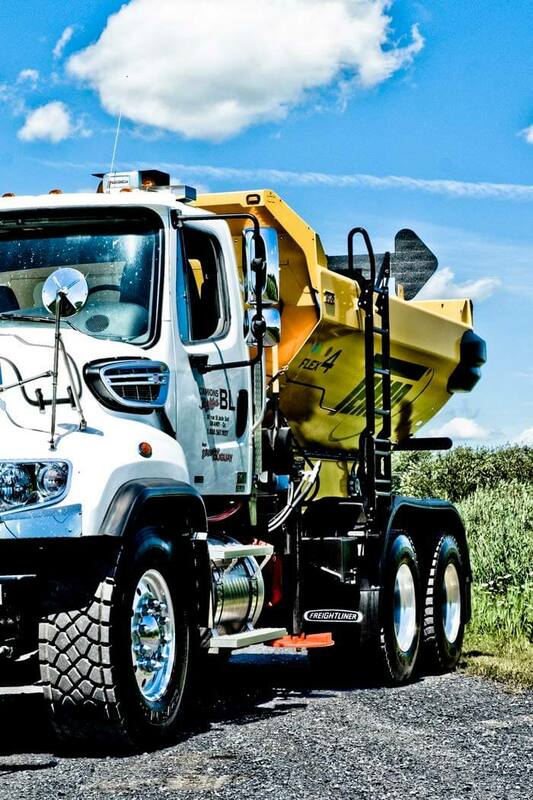 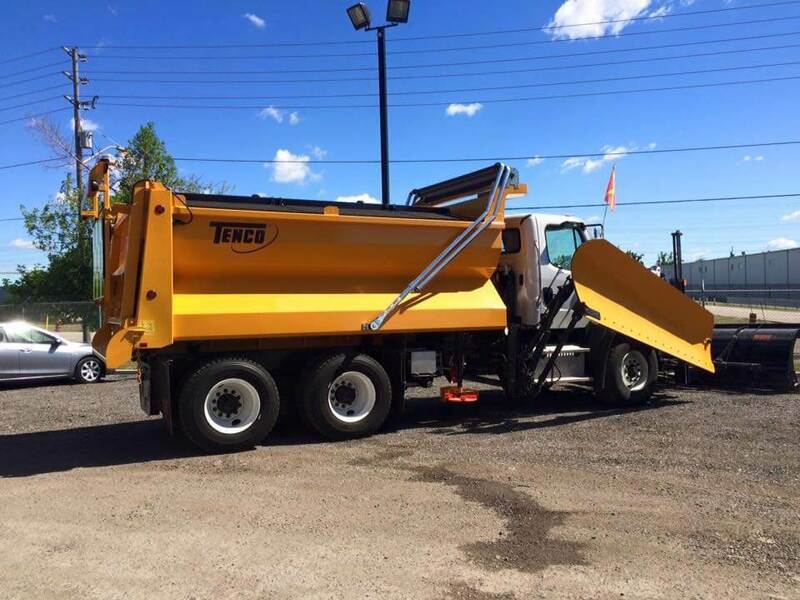 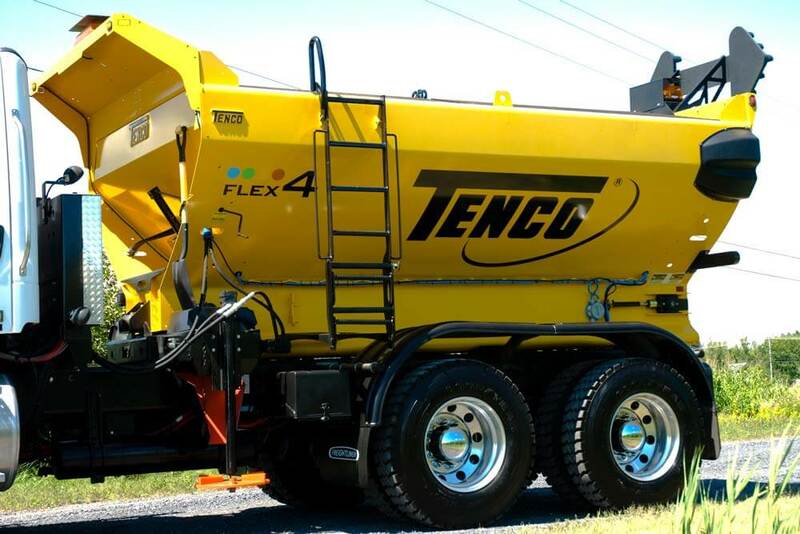 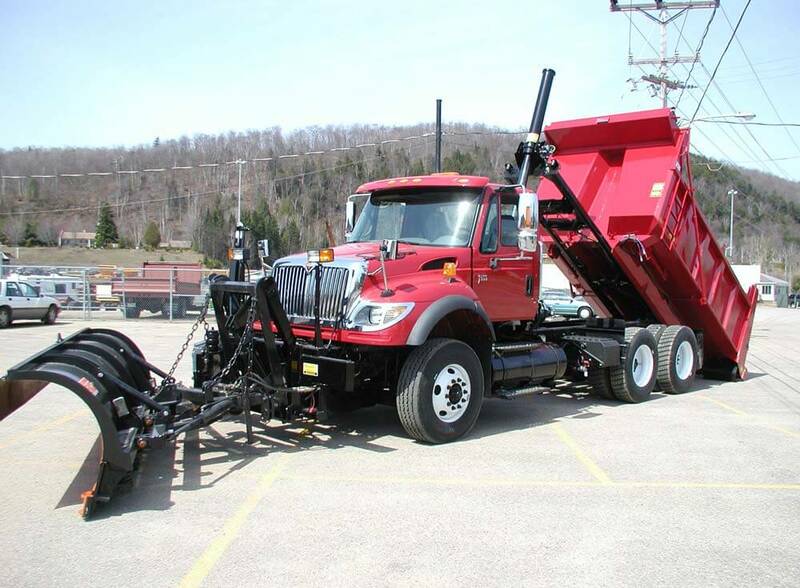 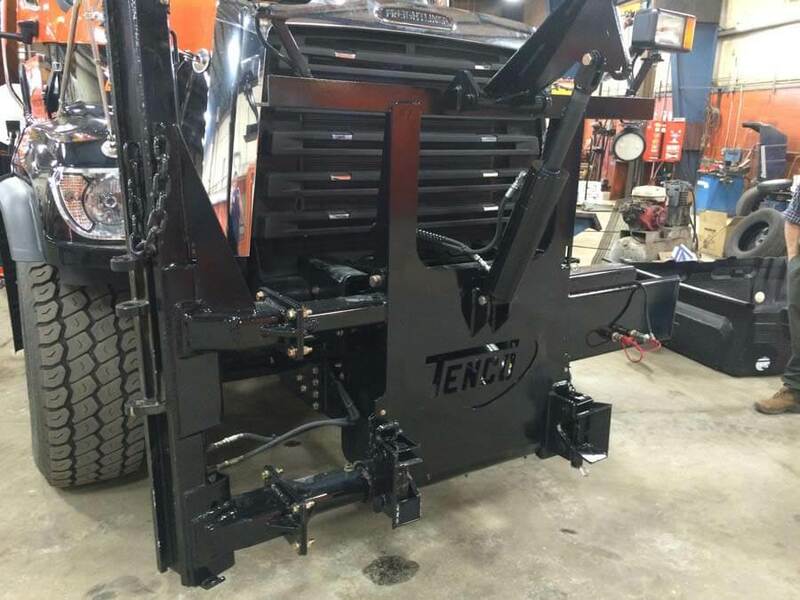 Tenco’s U-COMBO truck body combines all the features of a dump body and a spreader in one. 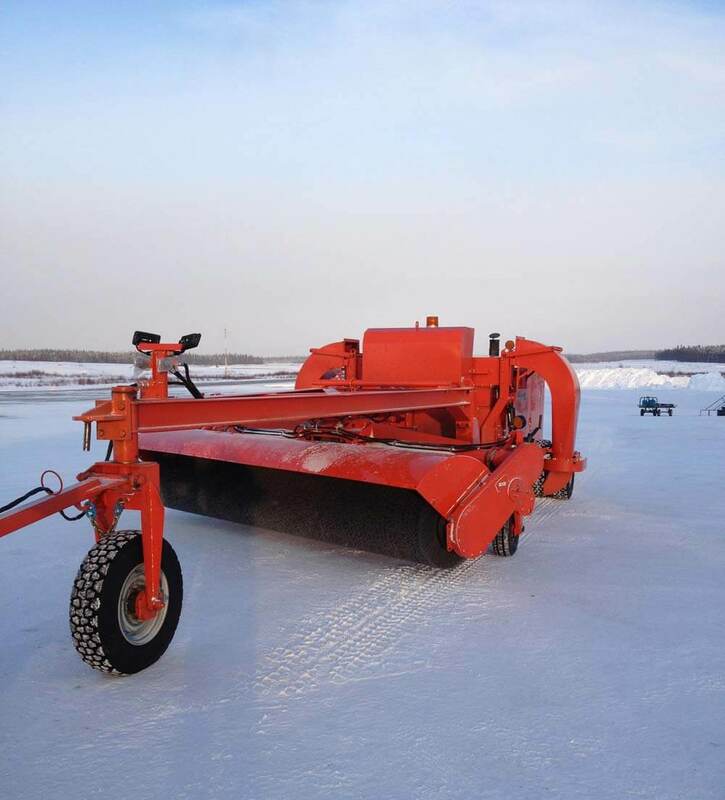 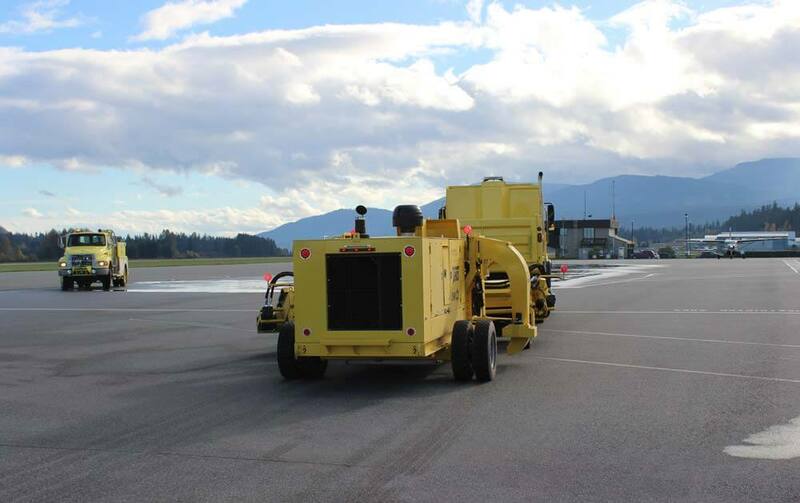 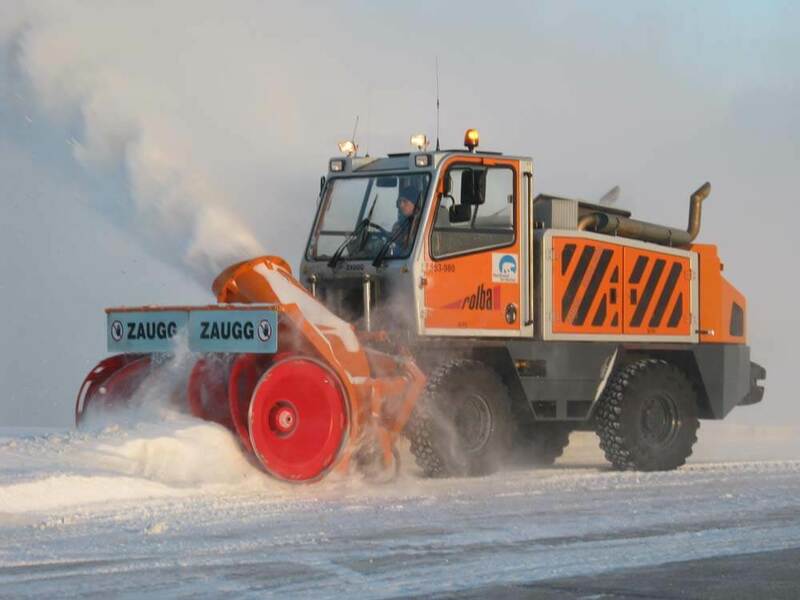 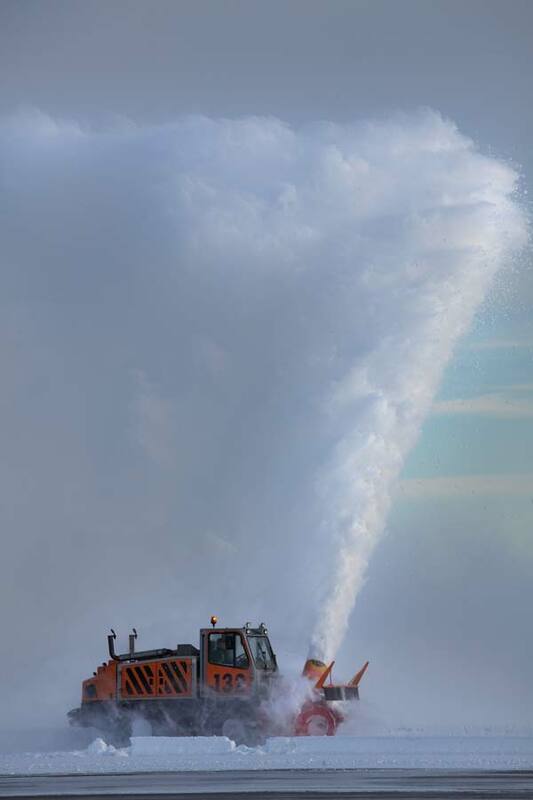 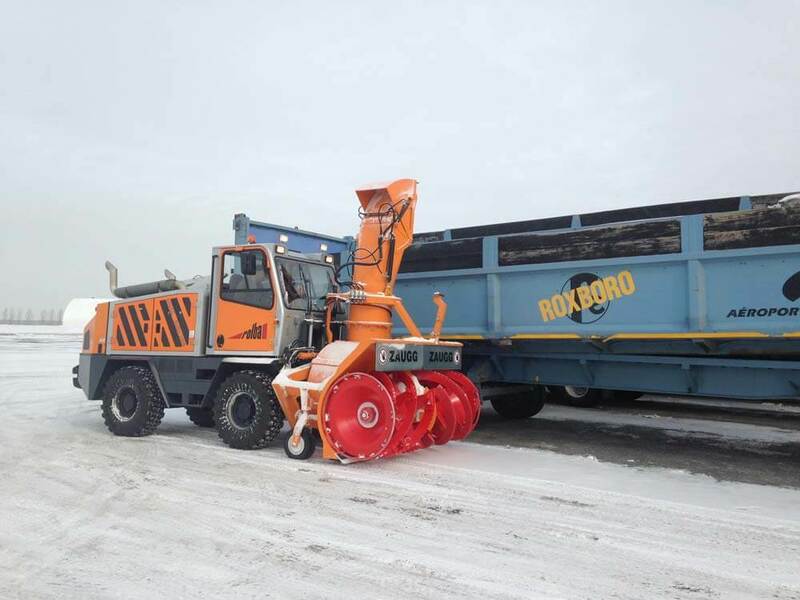 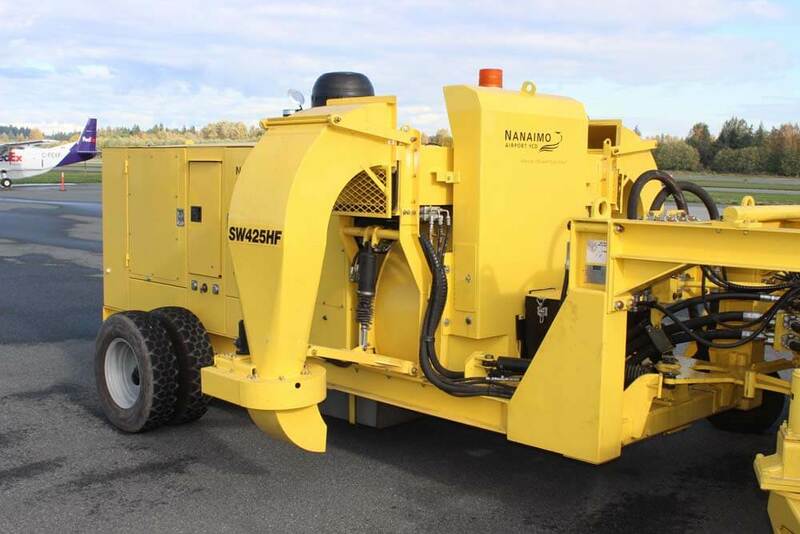 Available in a range of models, the U-COMBO allows you to spread abrasive/deicing materials from both sides of the truck, as well as from the rear. 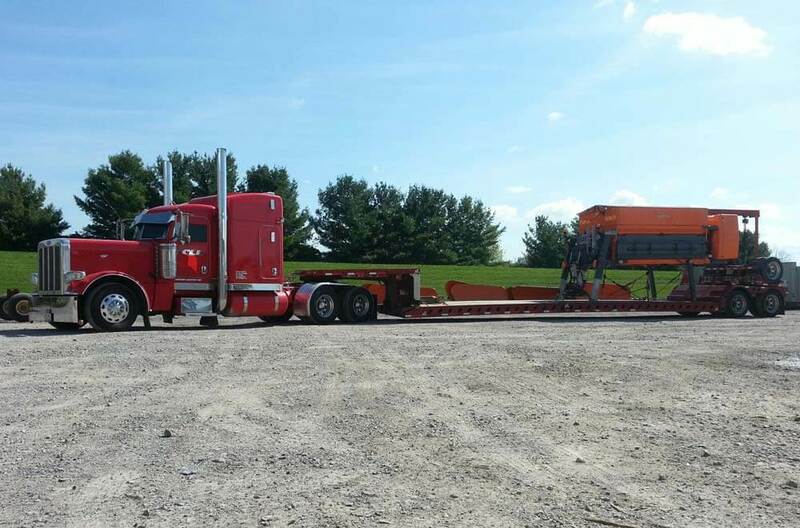 With this type of truck body, switching from dump to spread mode is as easy as child’s play. 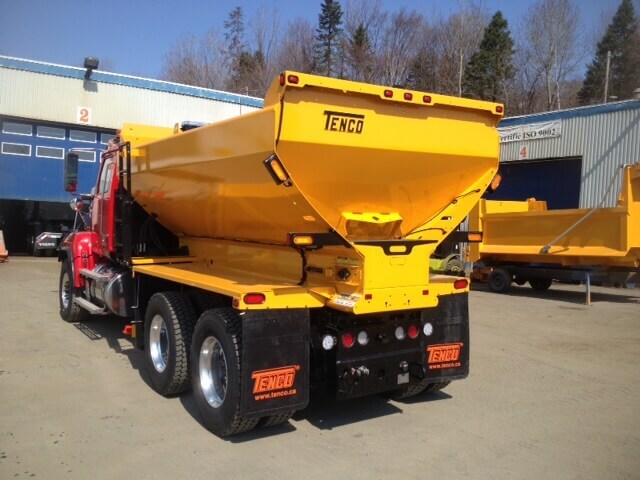 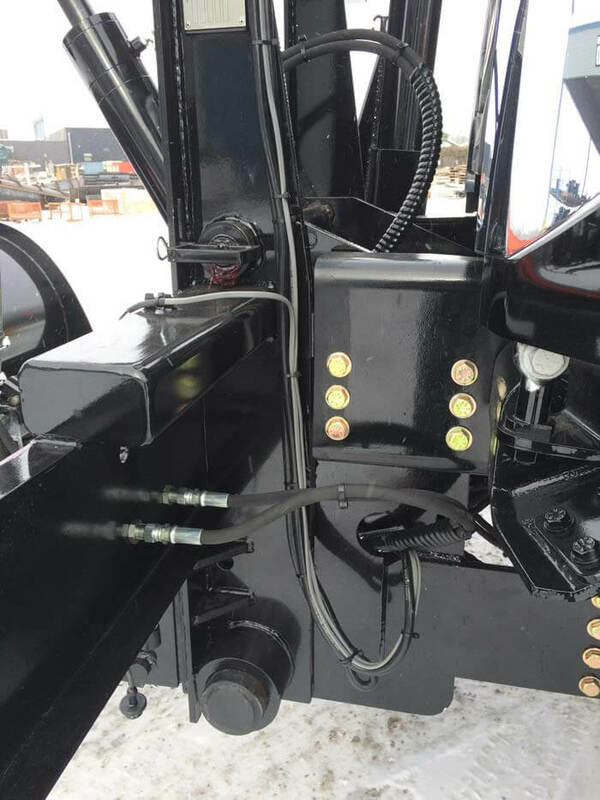 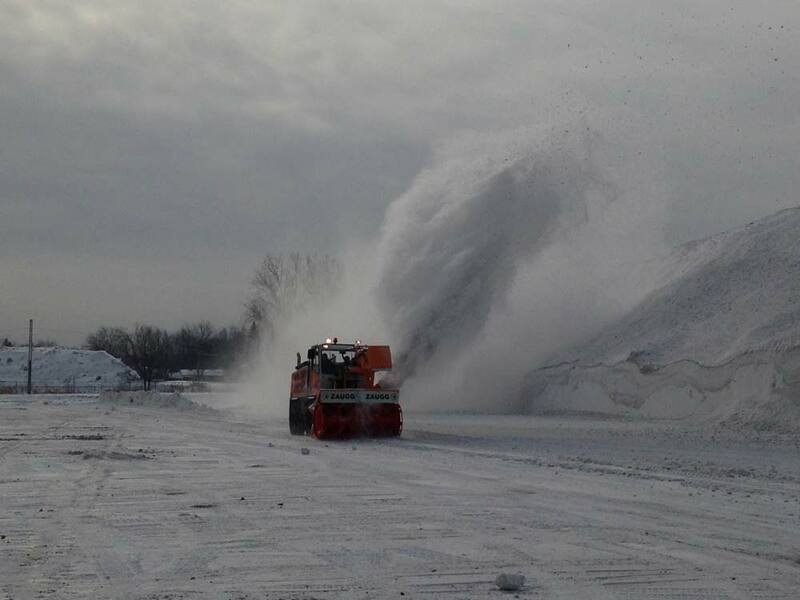 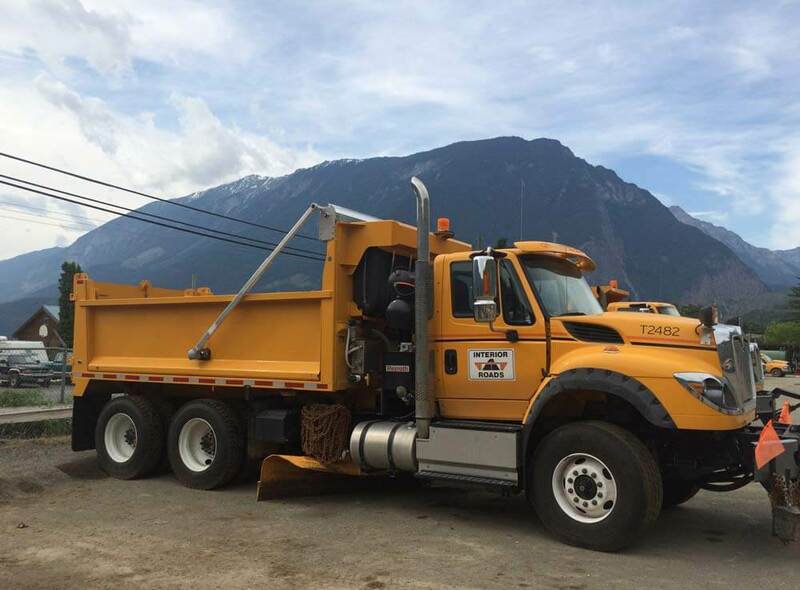 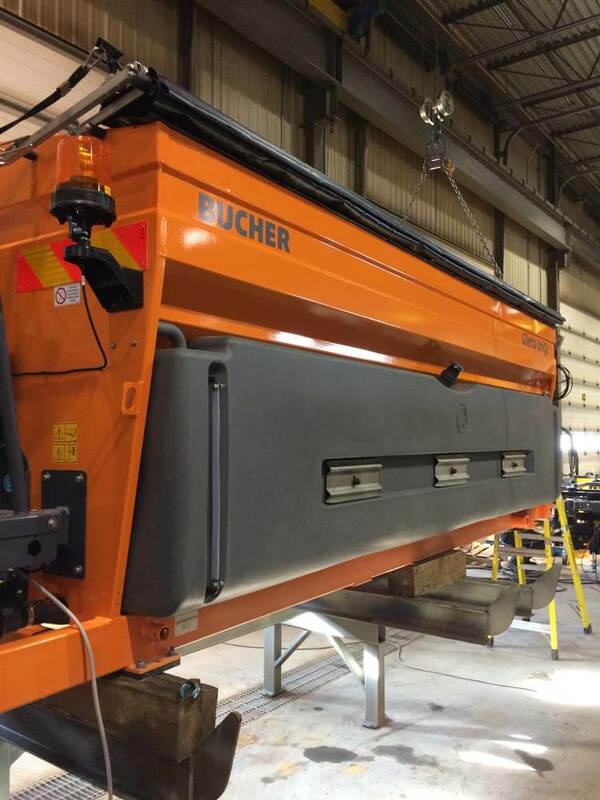 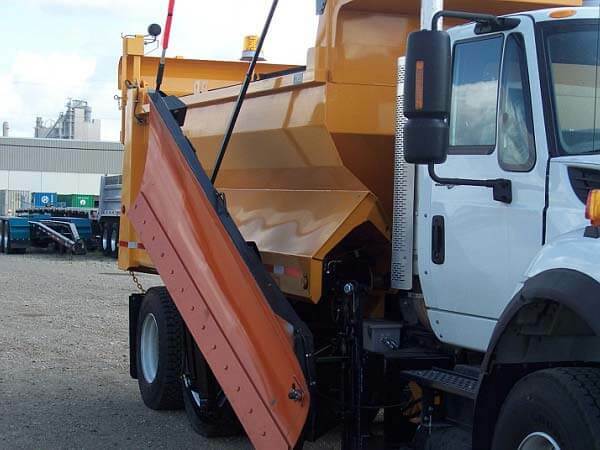 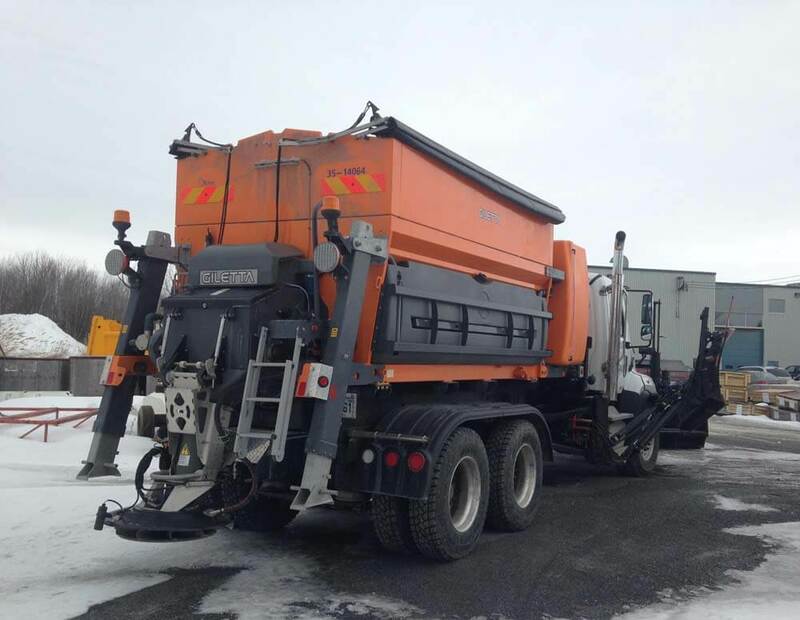 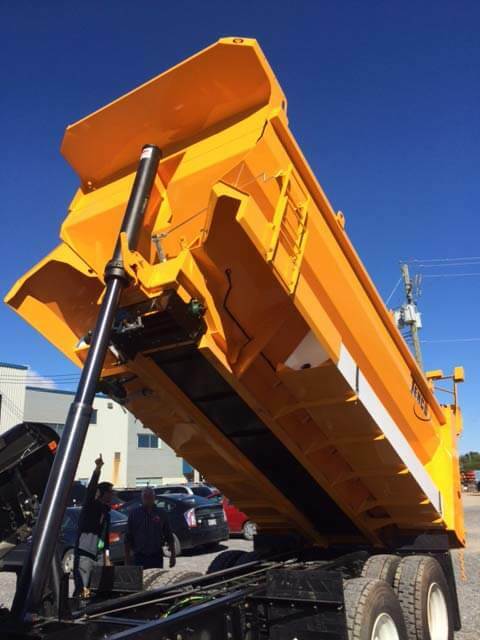 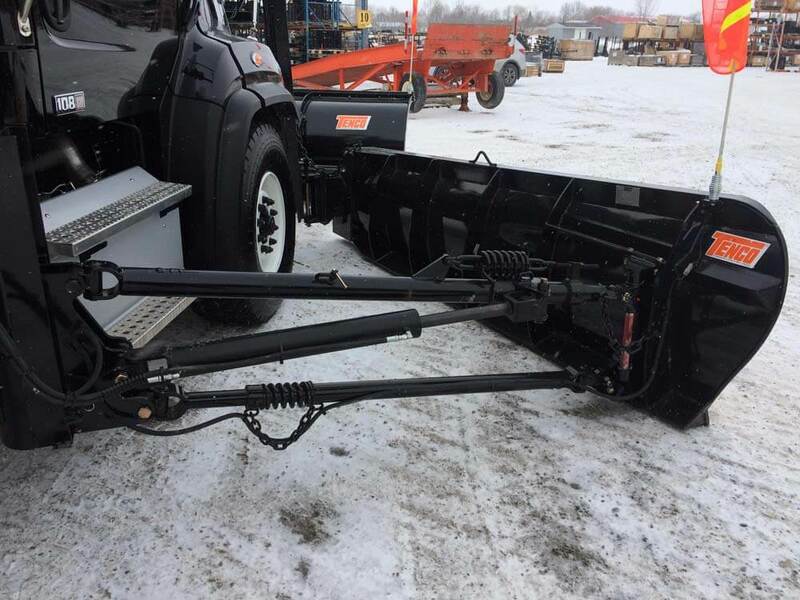 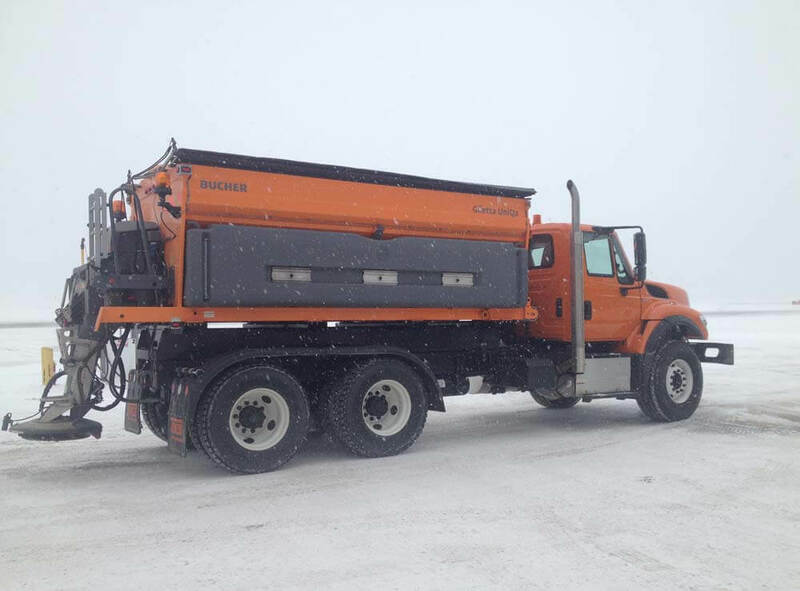 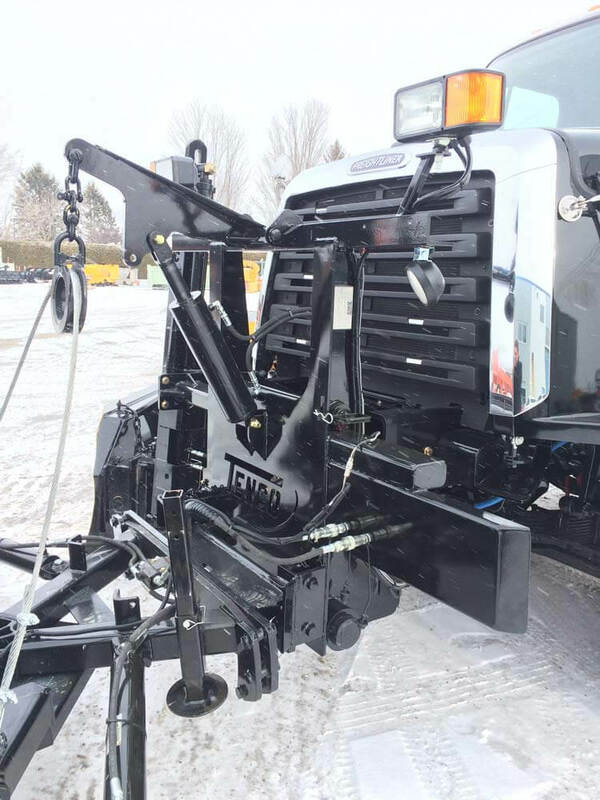 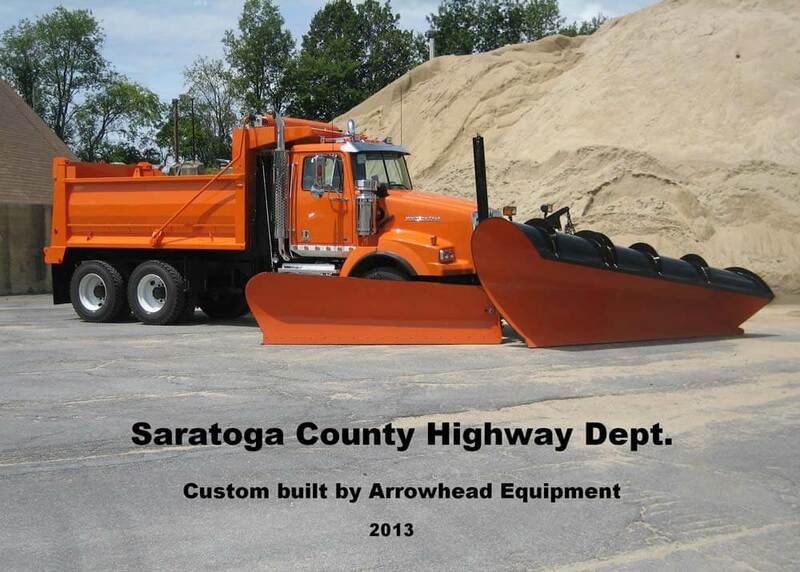 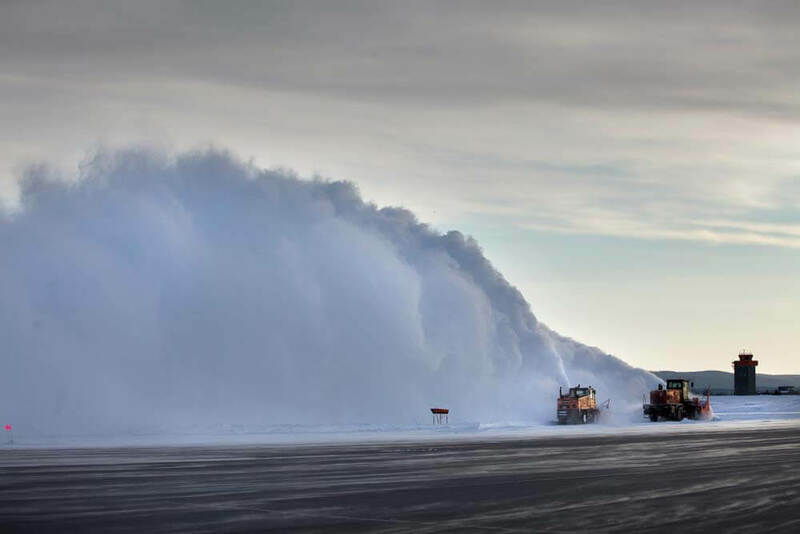 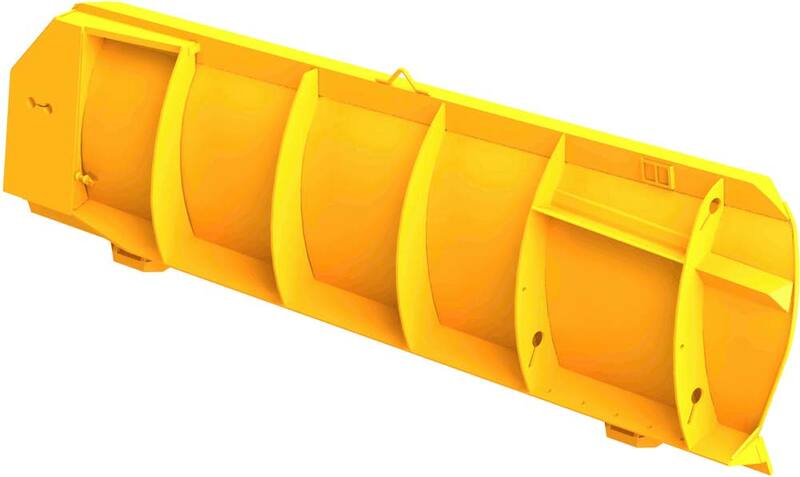 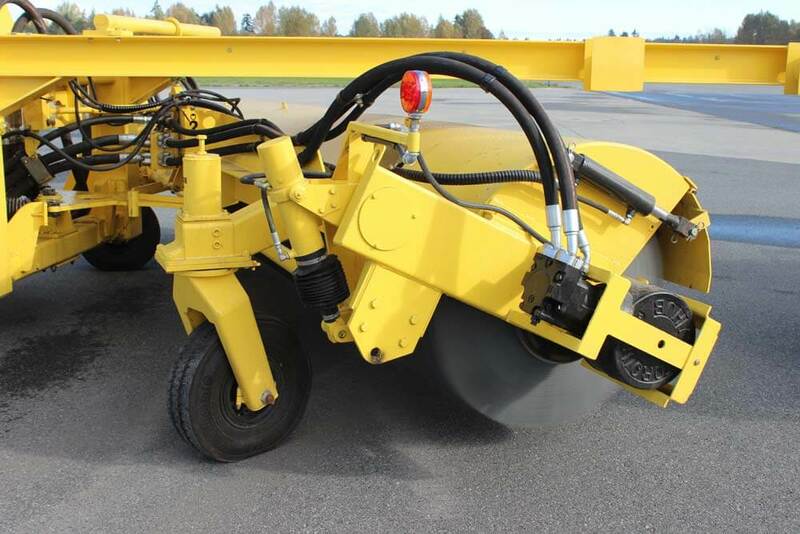 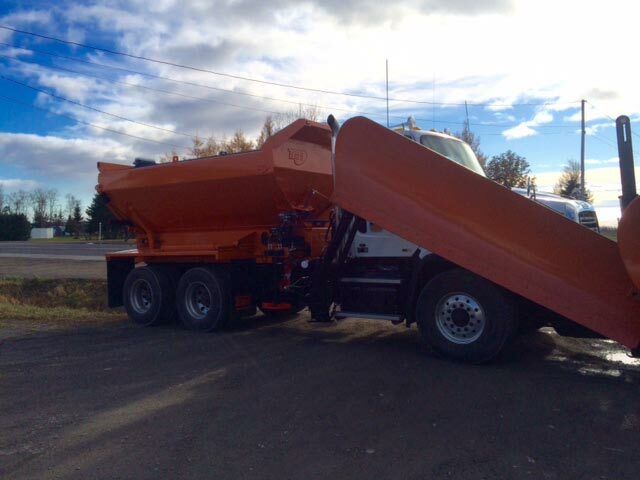 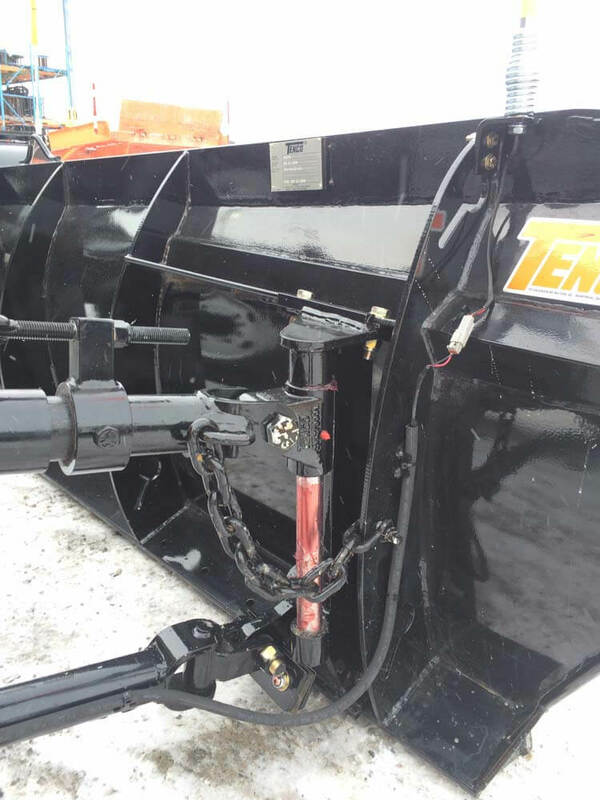 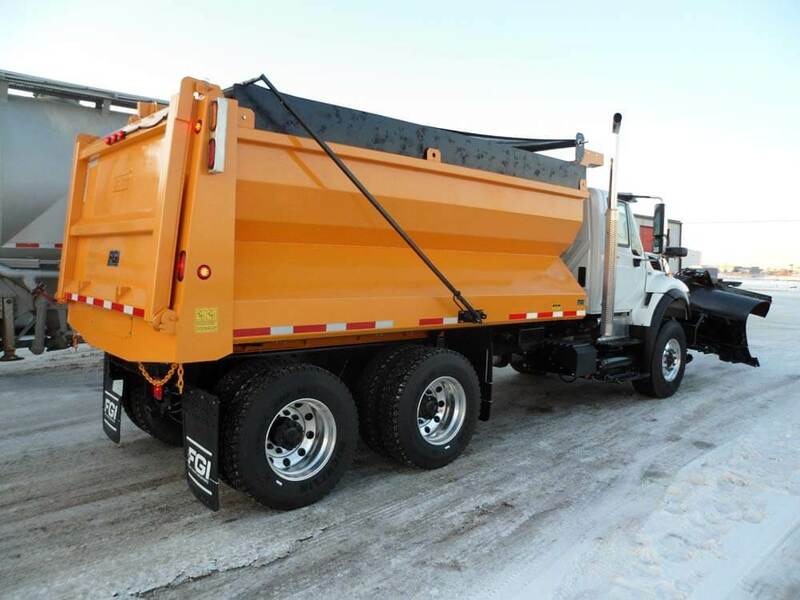 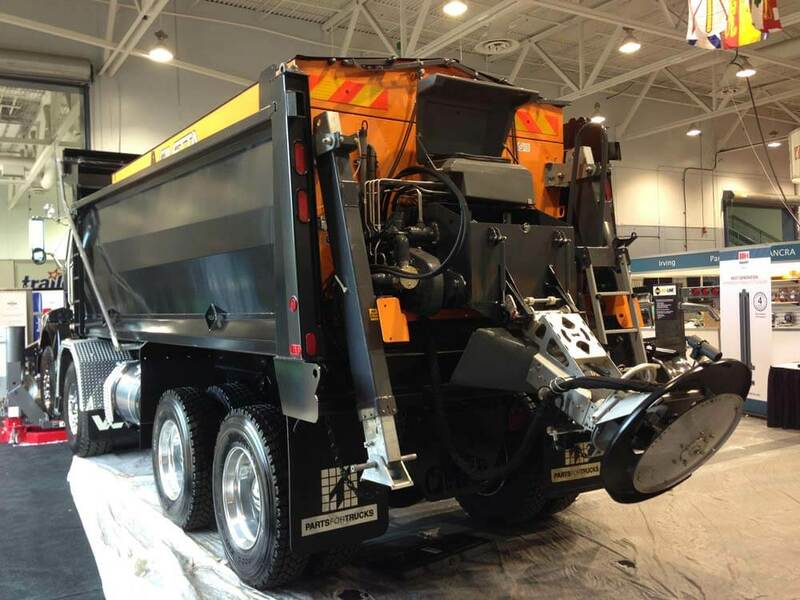 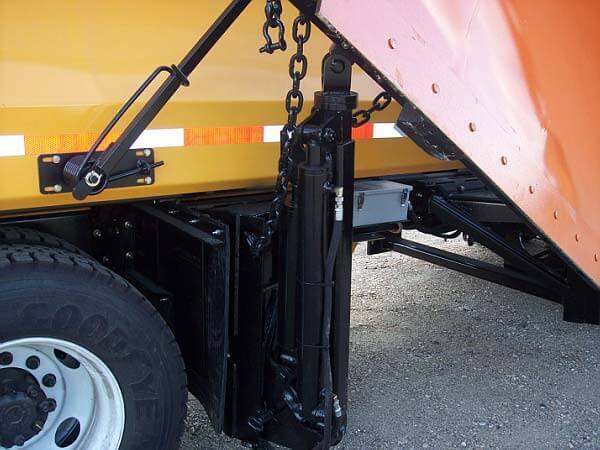 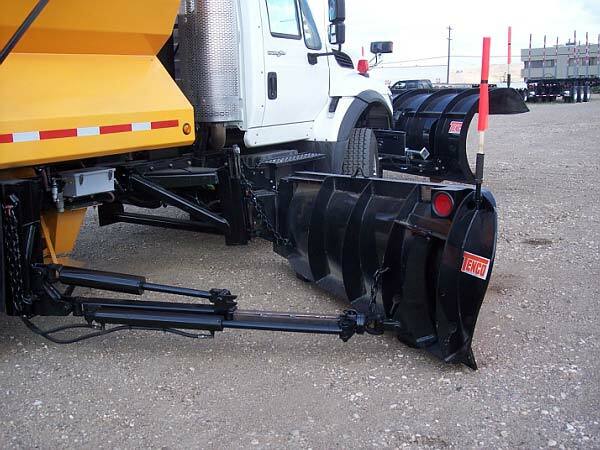 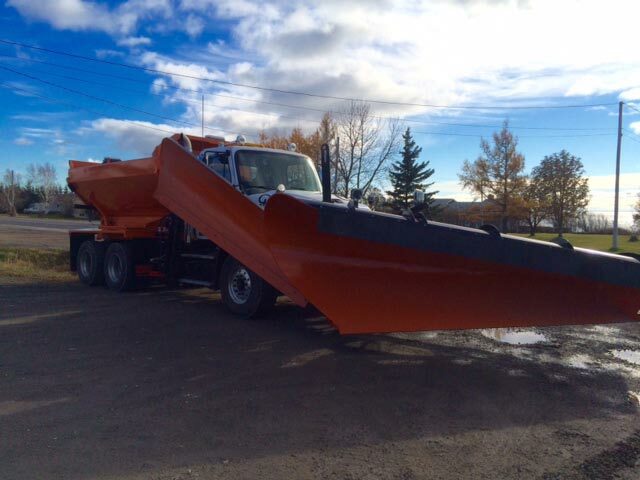 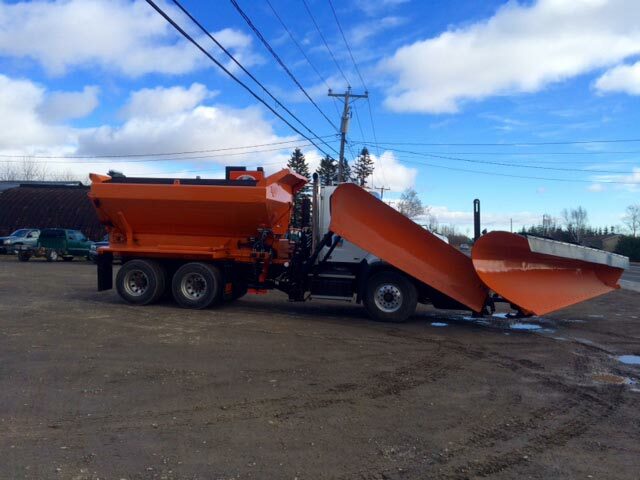 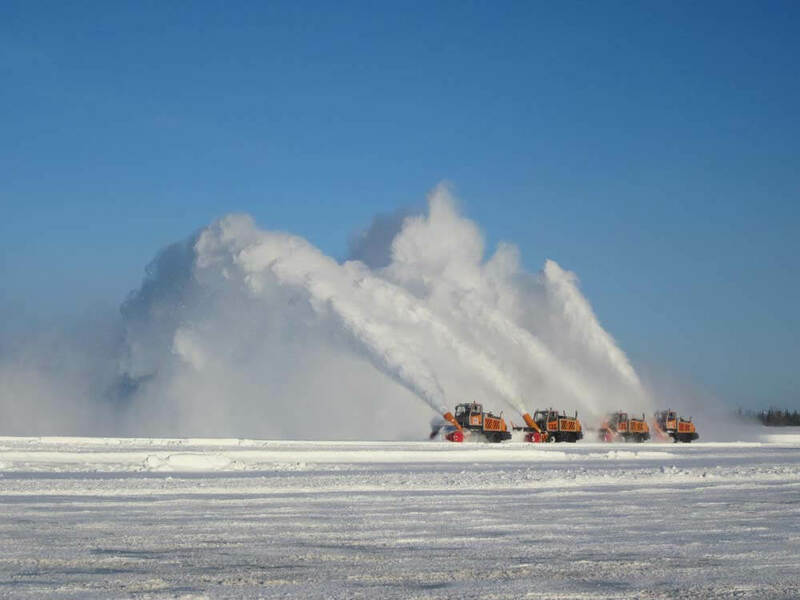 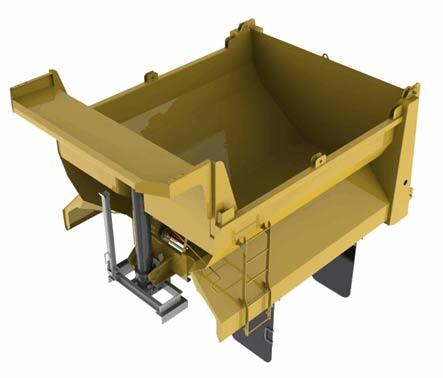 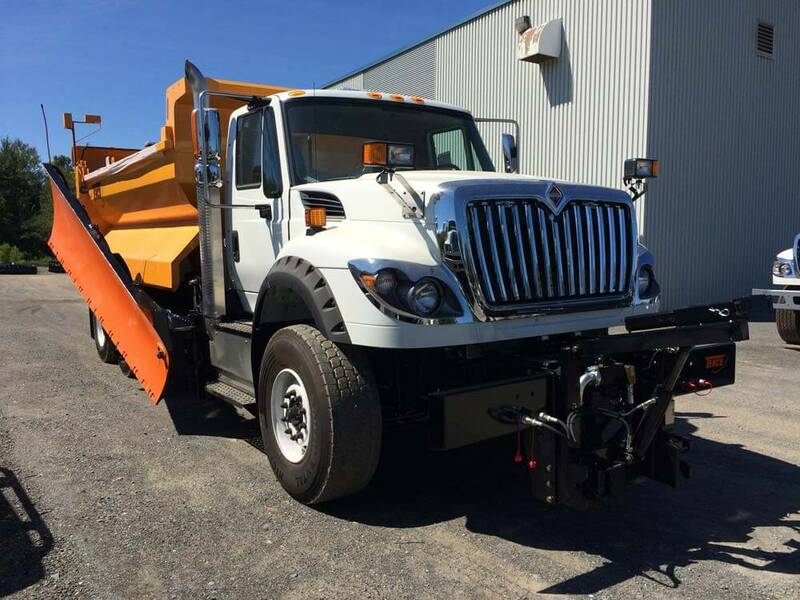 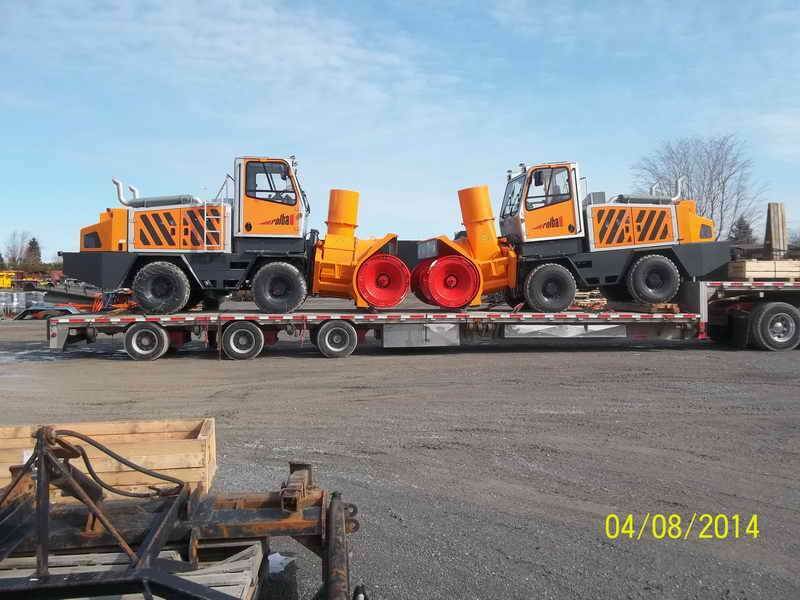 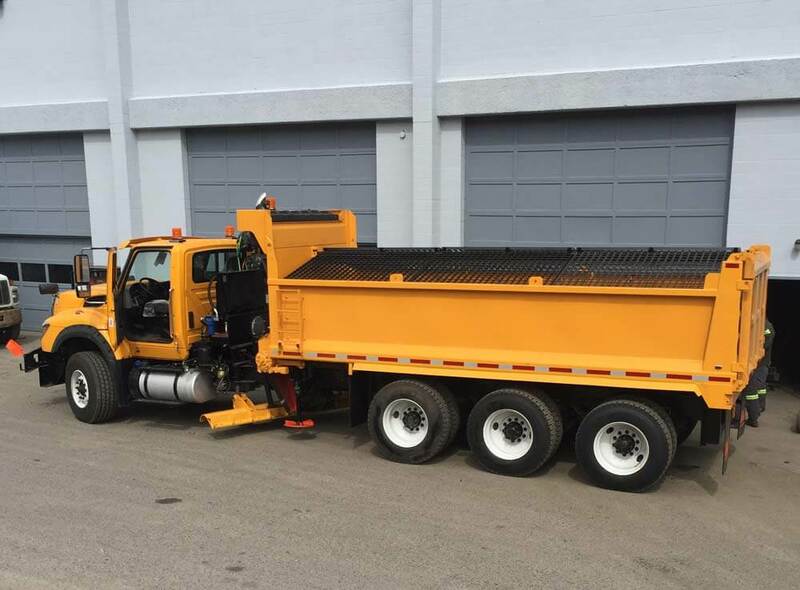 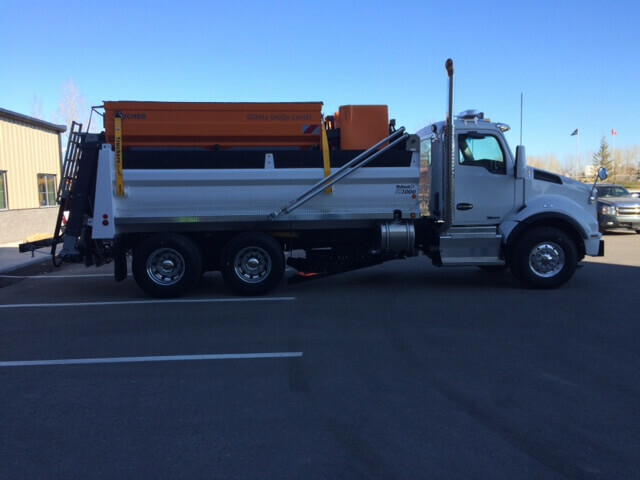 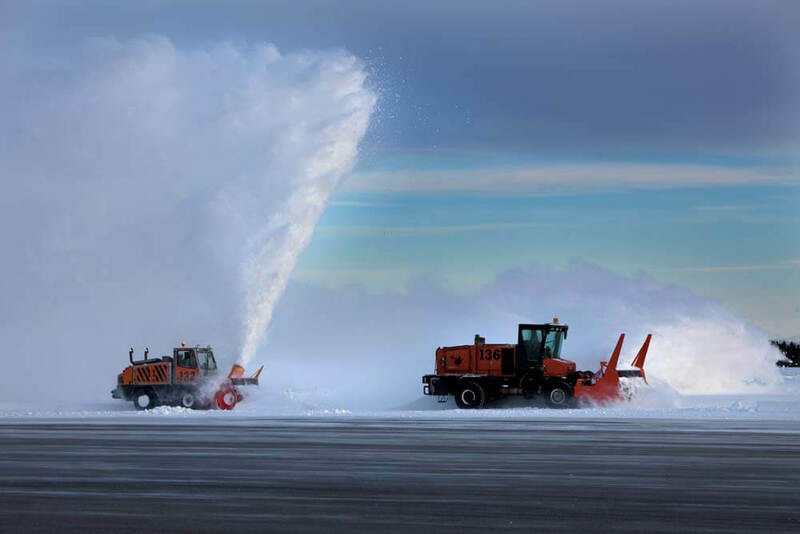 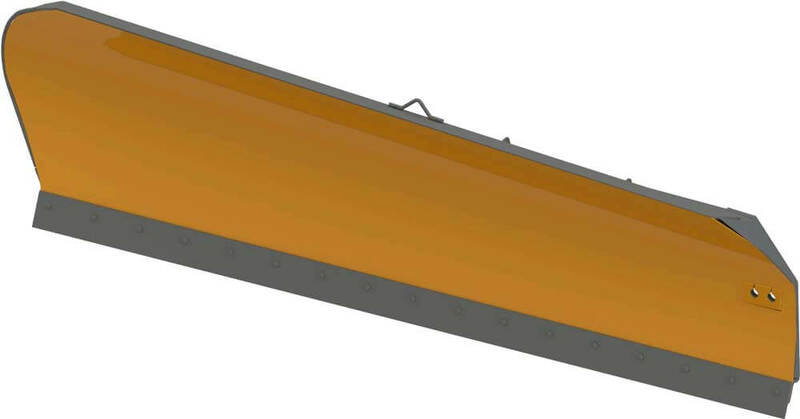 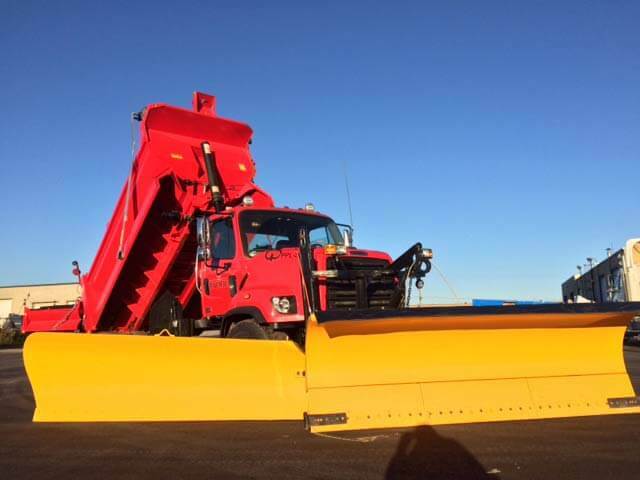 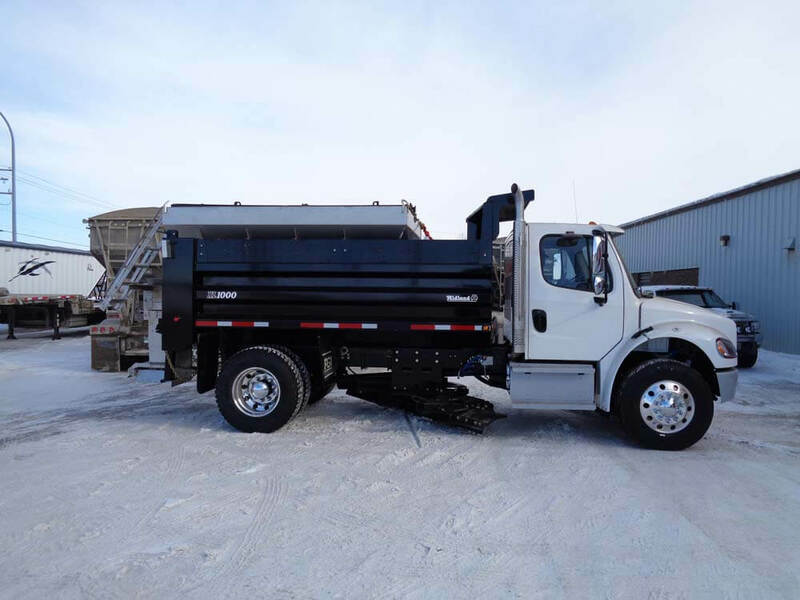 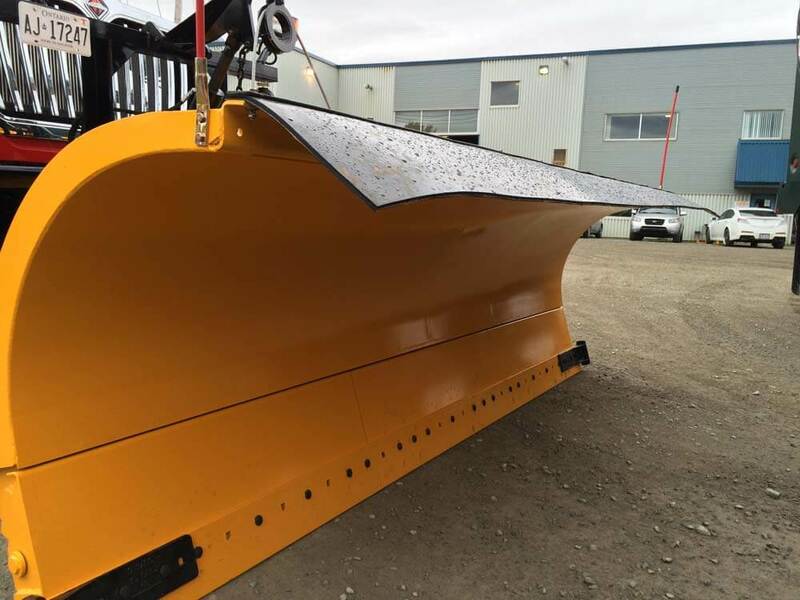 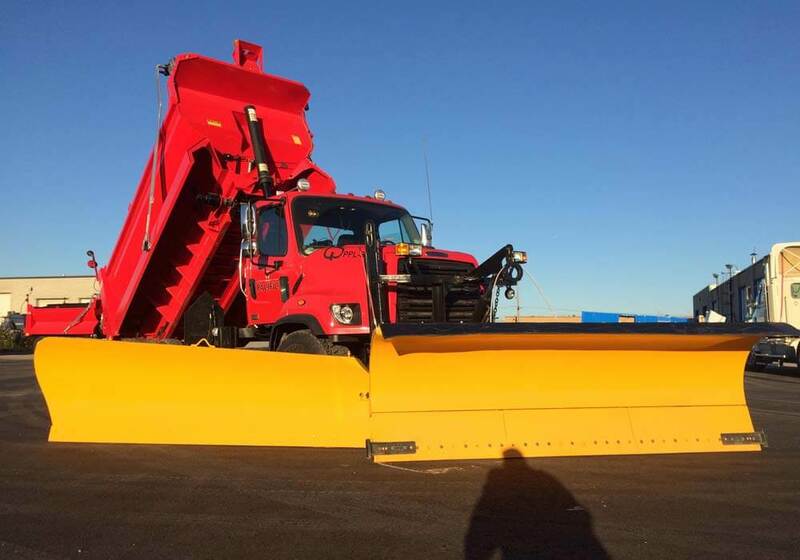 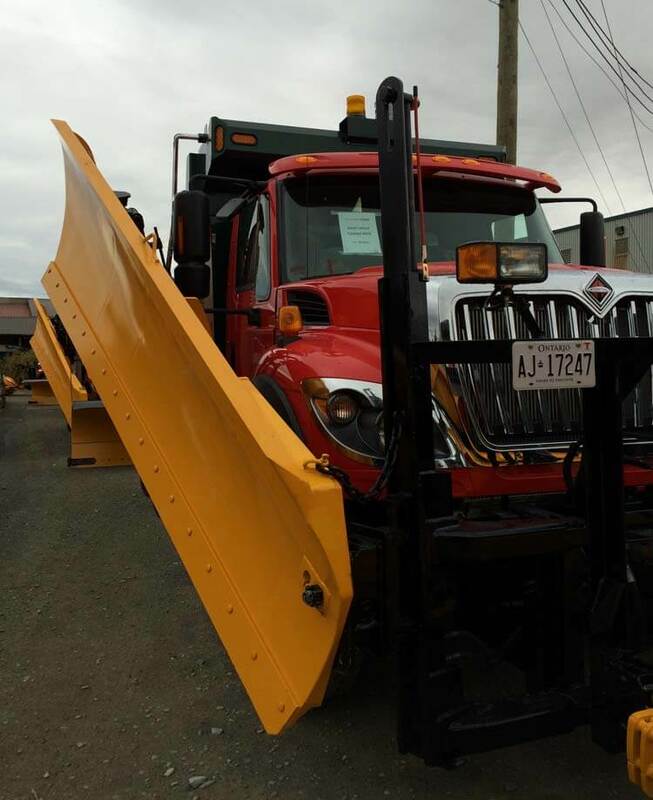 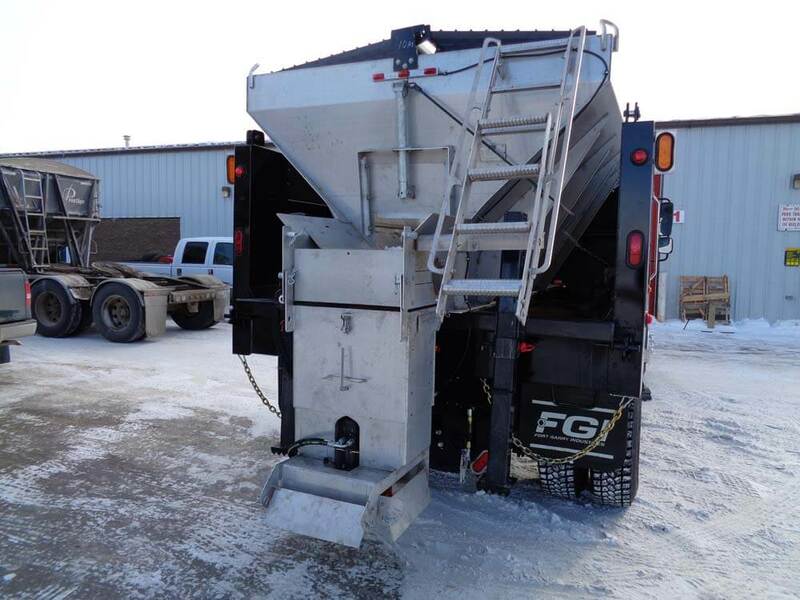 – Unique body structure ensures consistent, uninterrupted deicing material flow to main spreader conveyor. 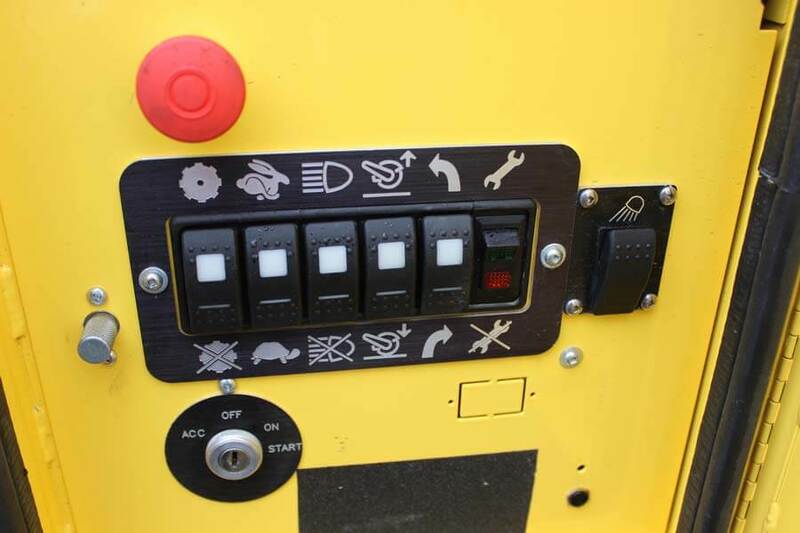 – The ability to spread material on both sides (front right or front left). 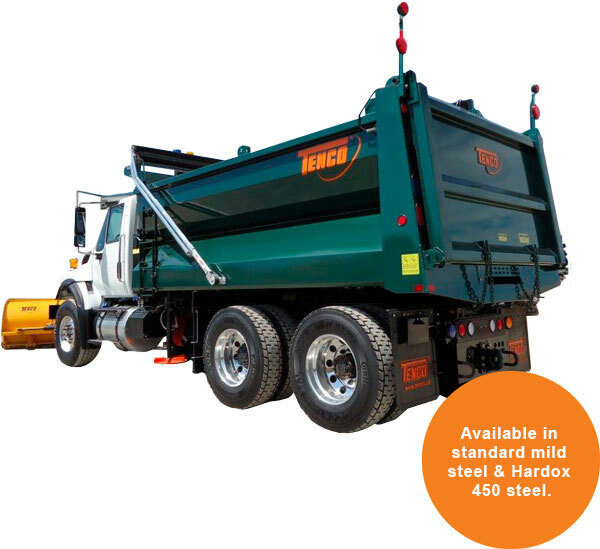 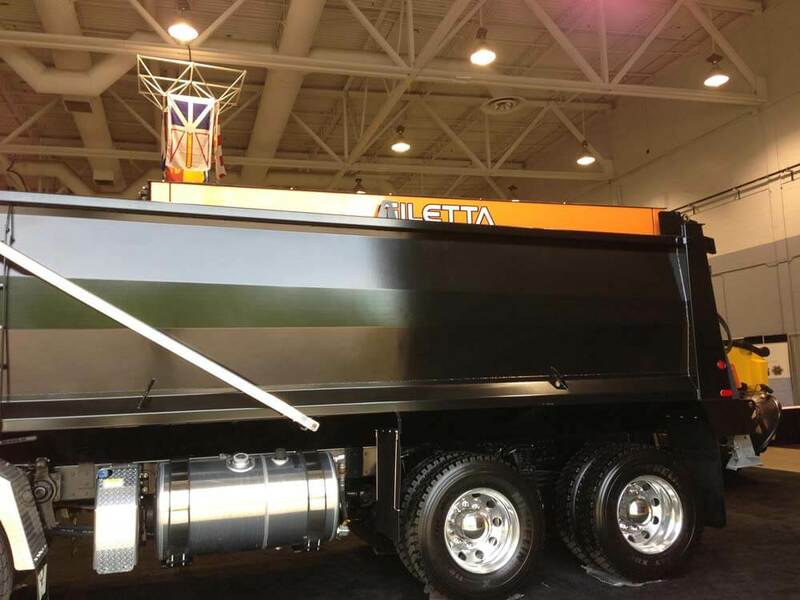 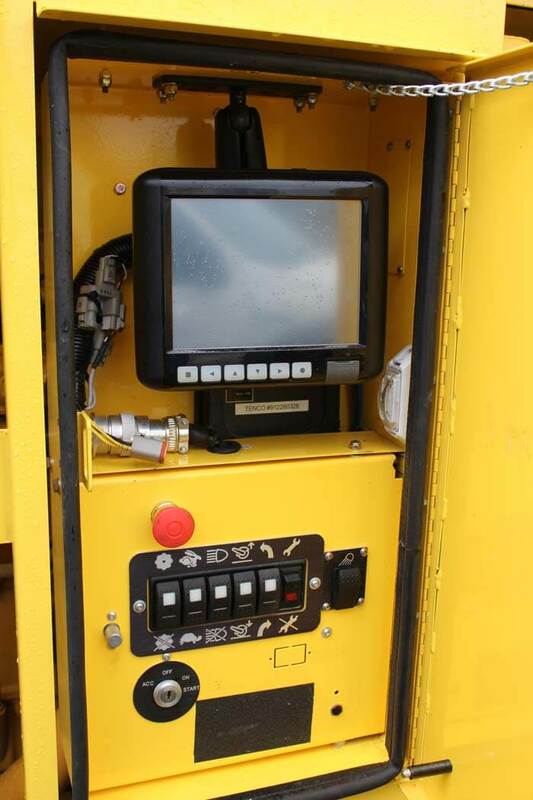 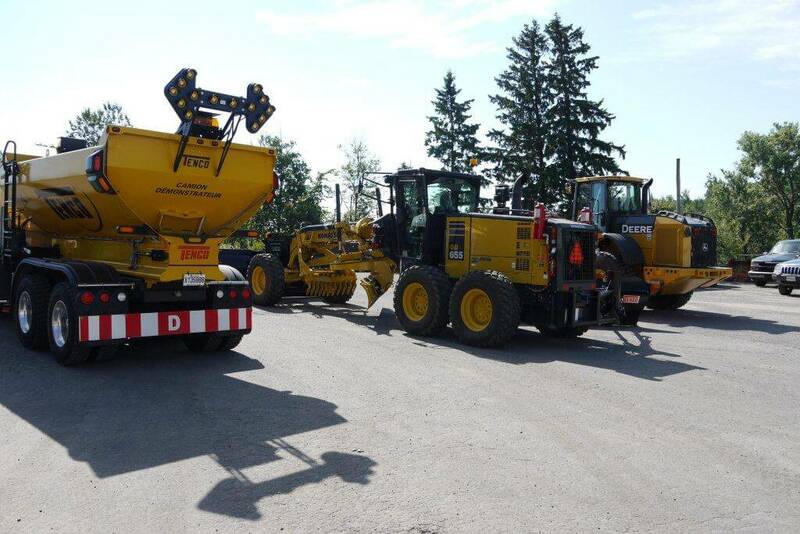 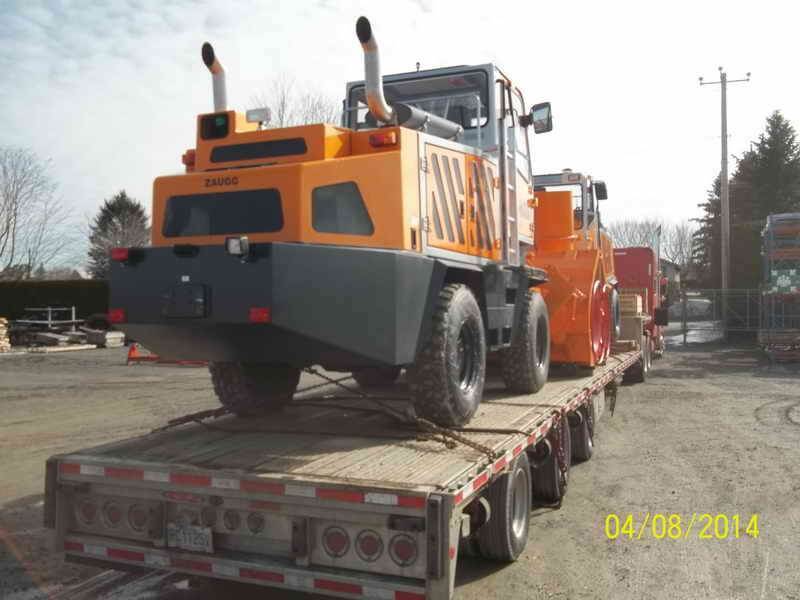 – The ability to spreading material from the rear or the front with easy control within the truck cab. 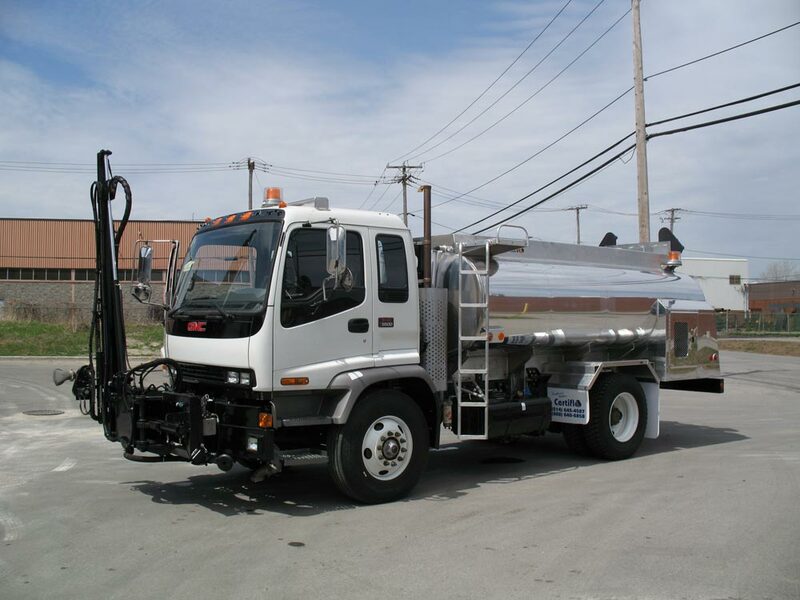 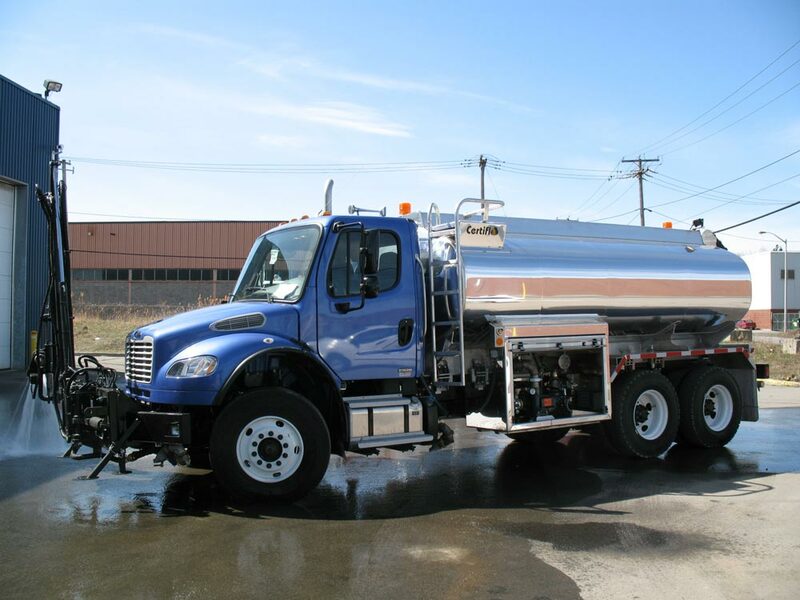 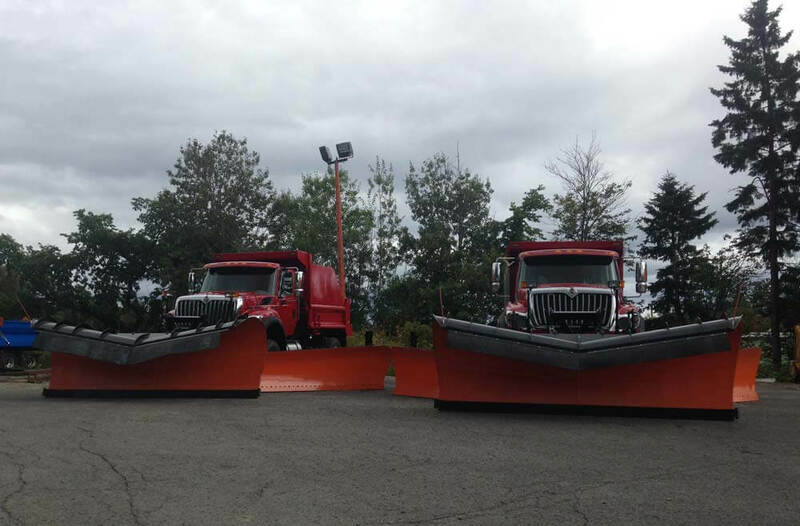 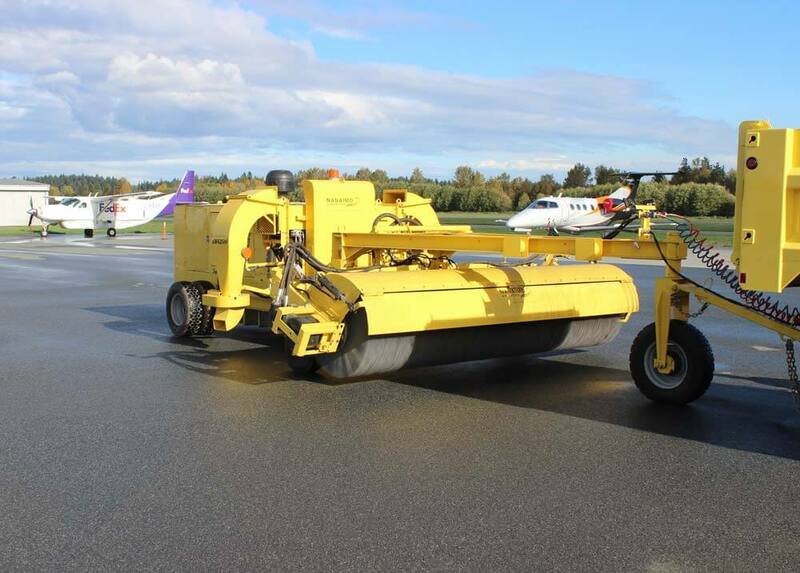 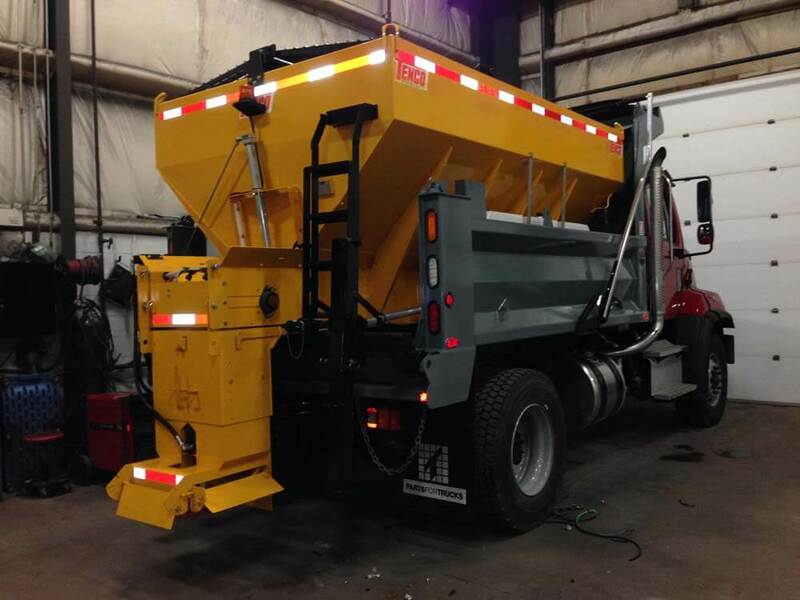 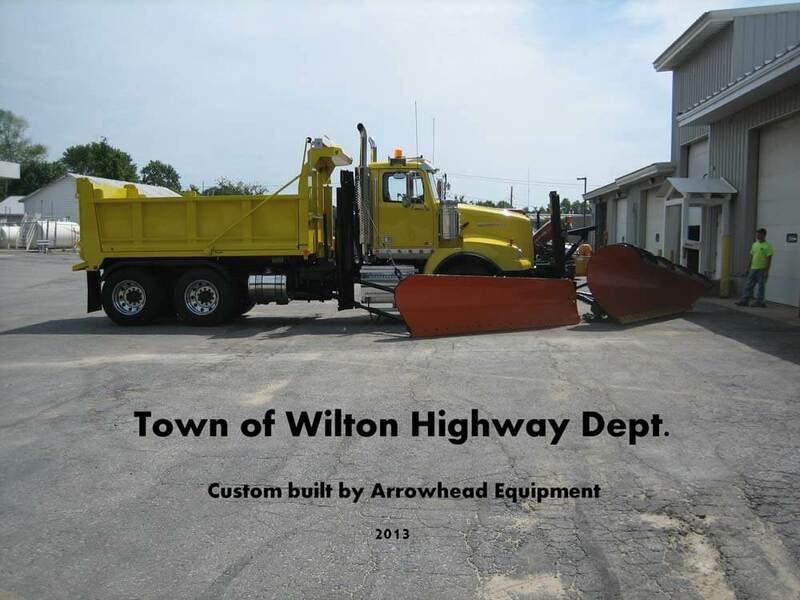 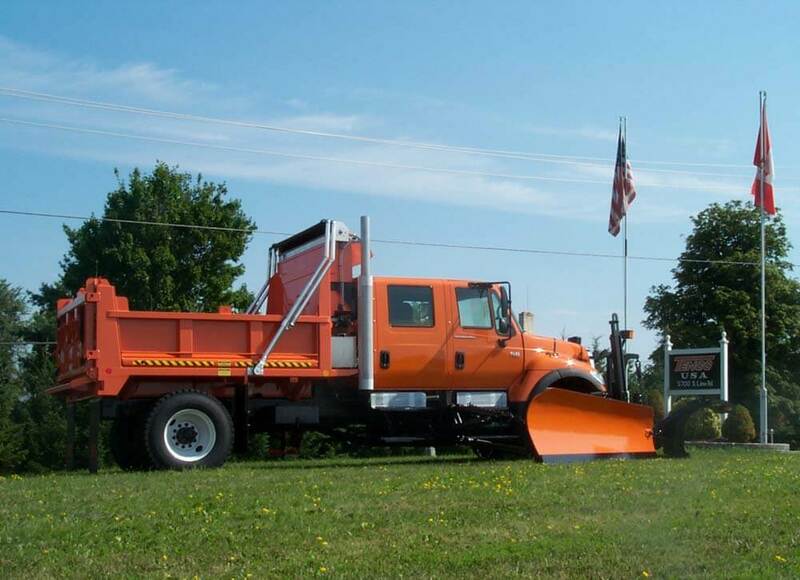 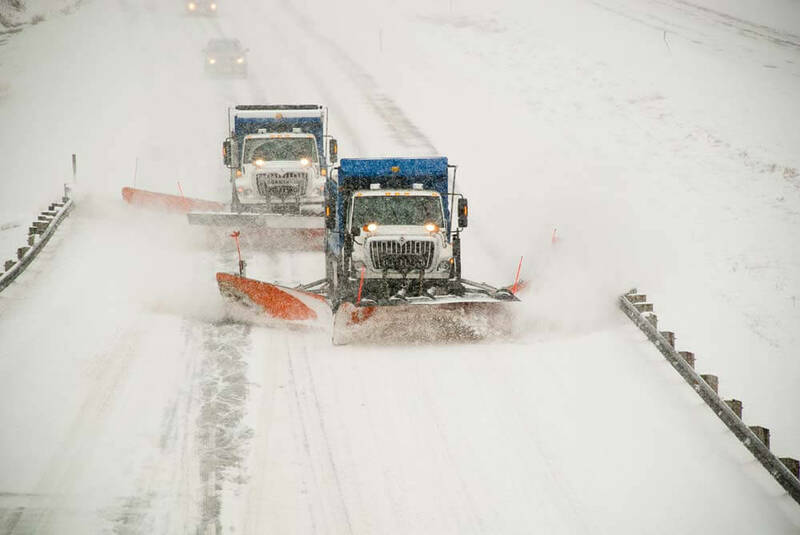 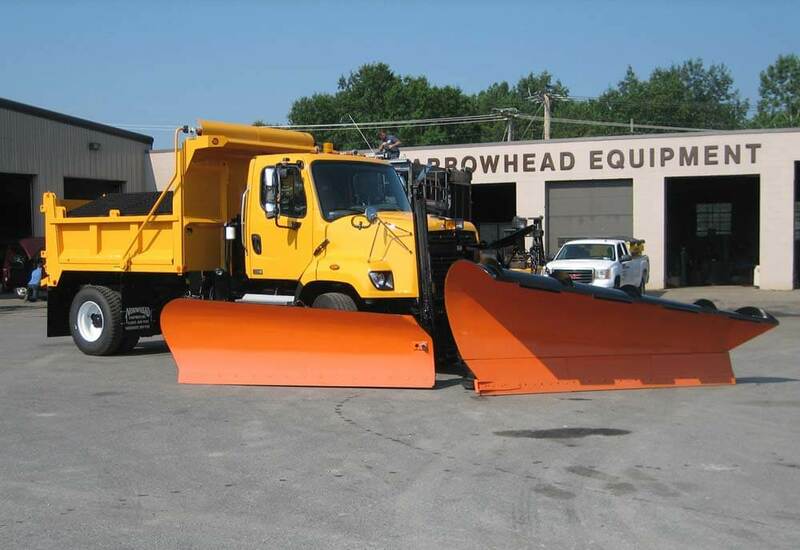 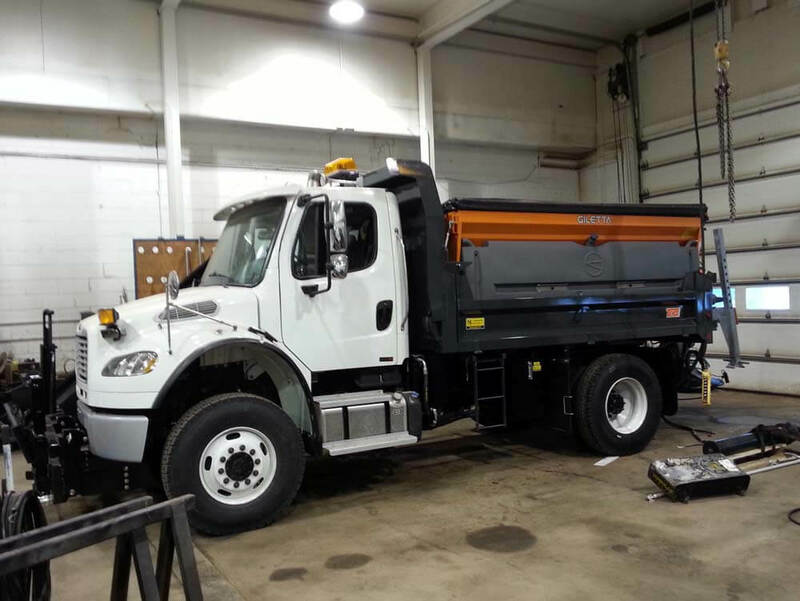 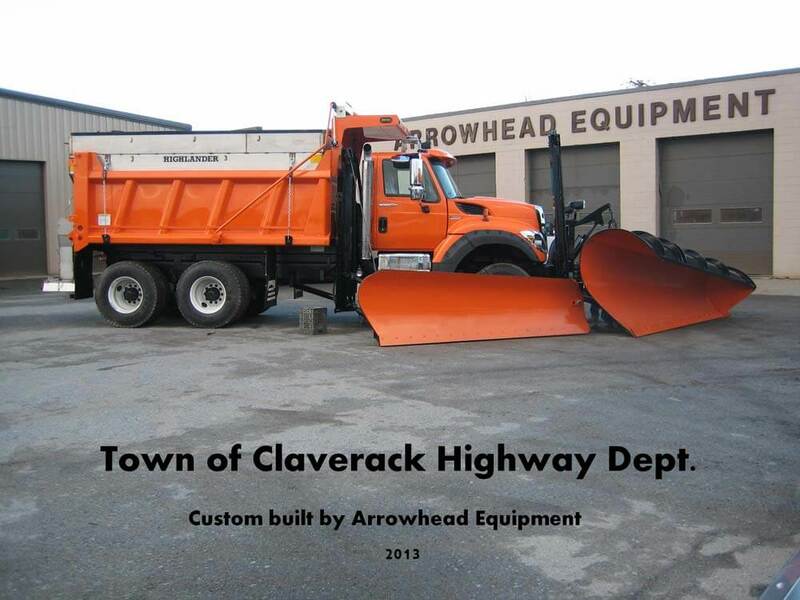 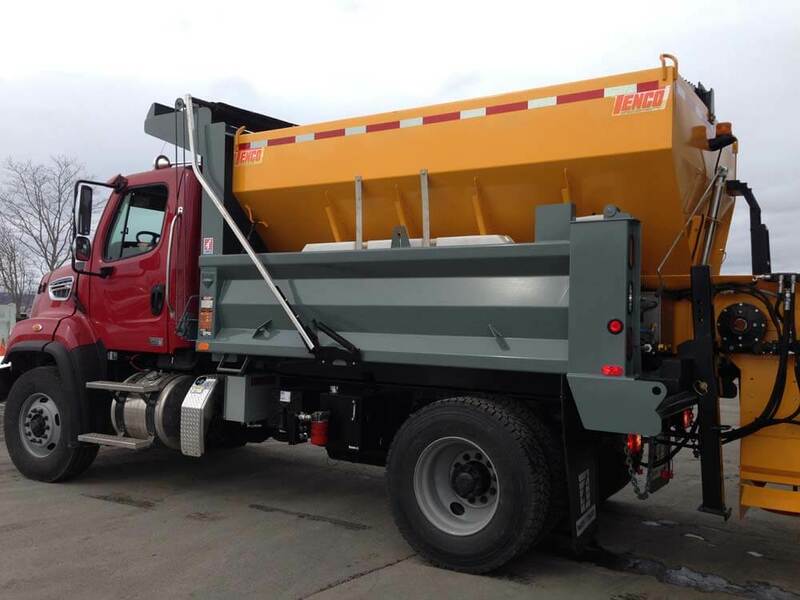 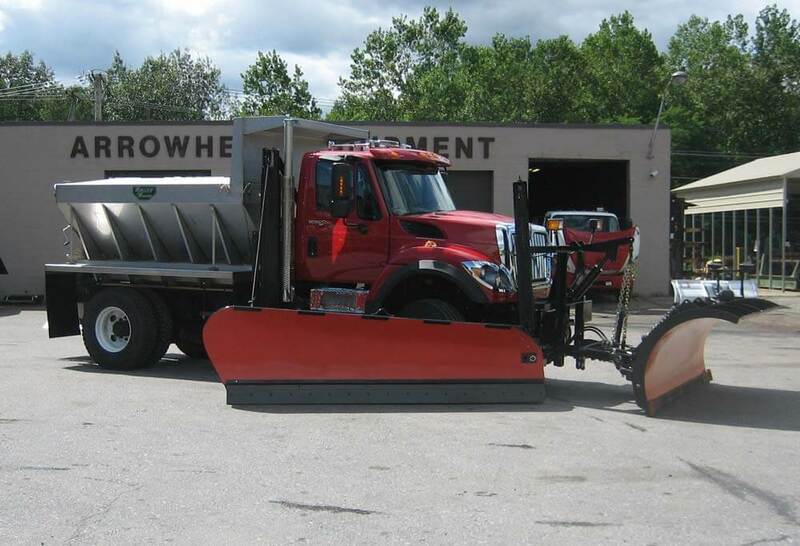 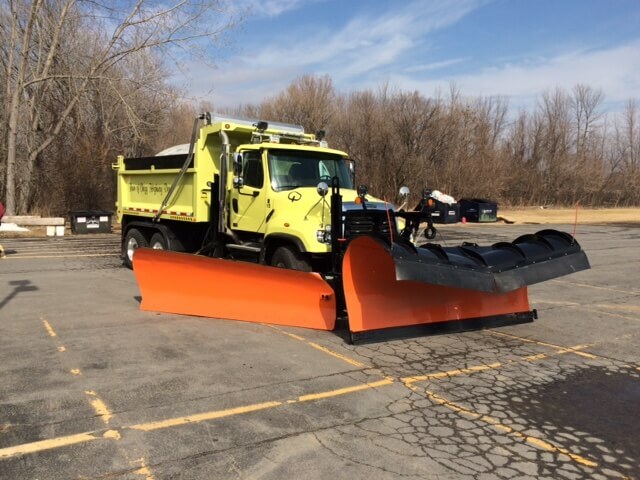 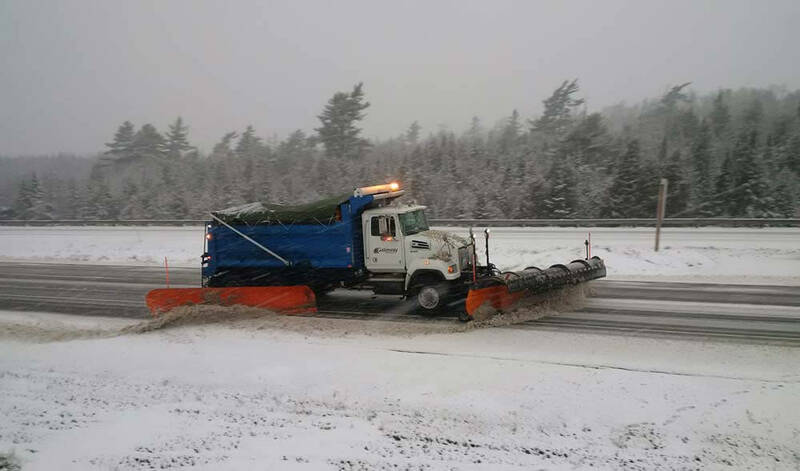 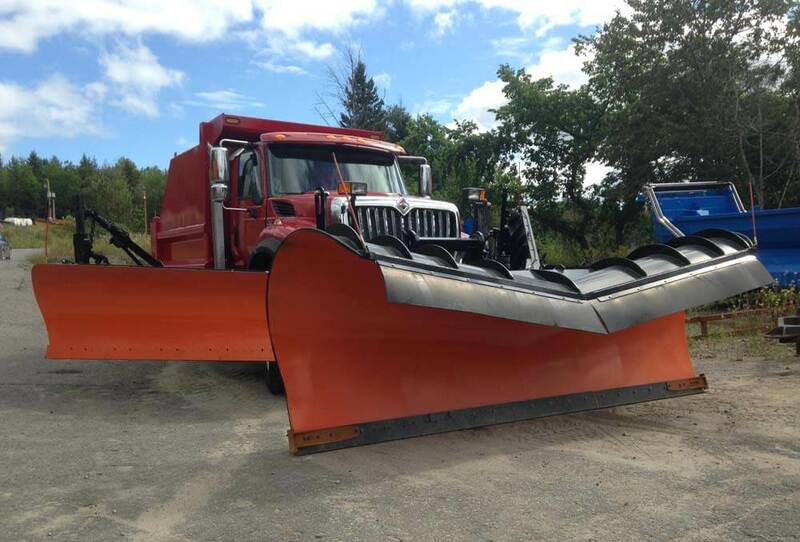 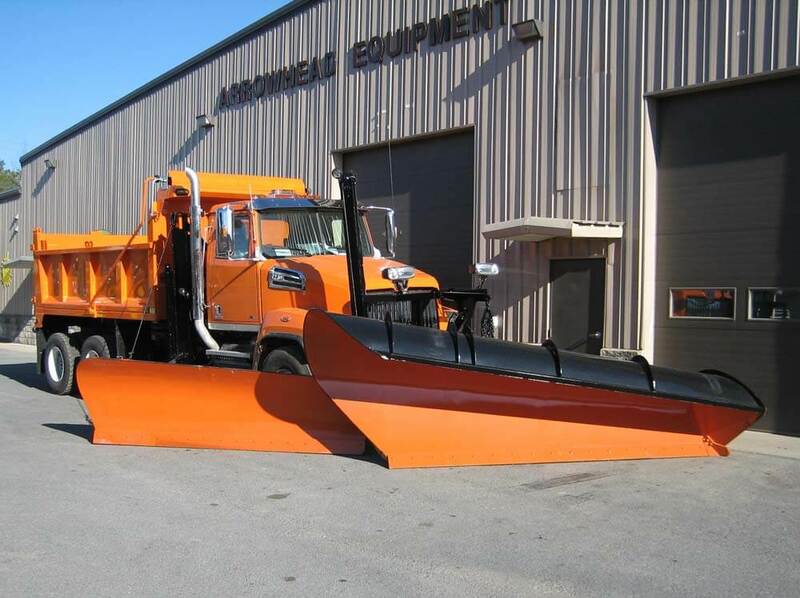 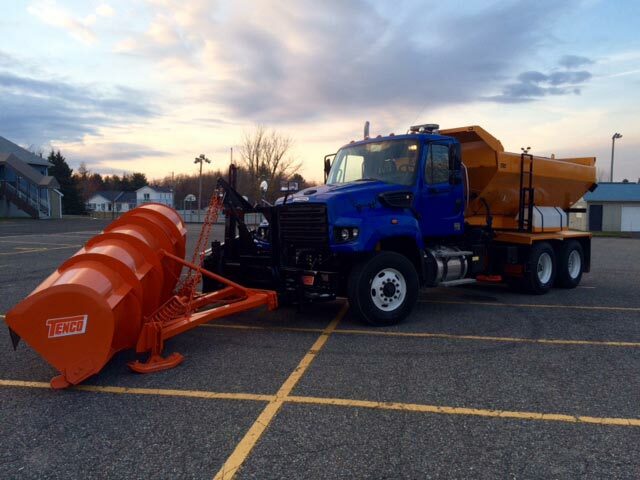 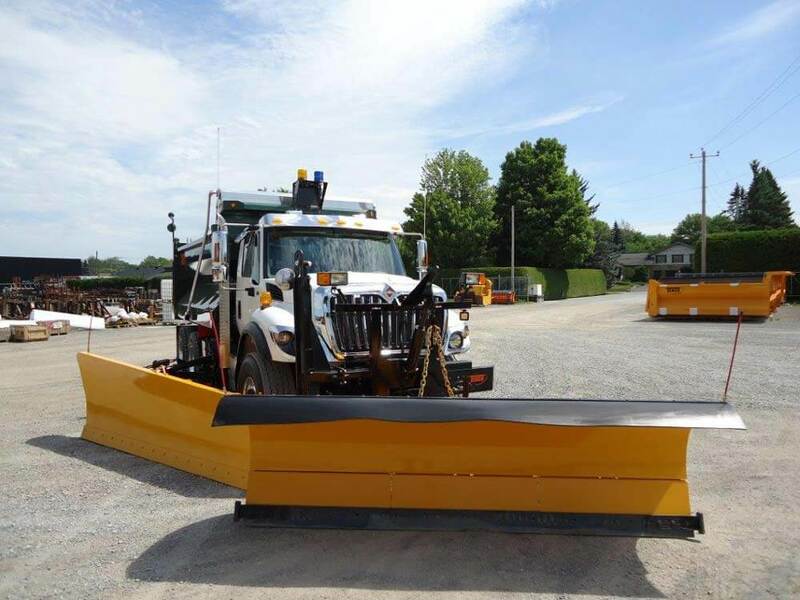 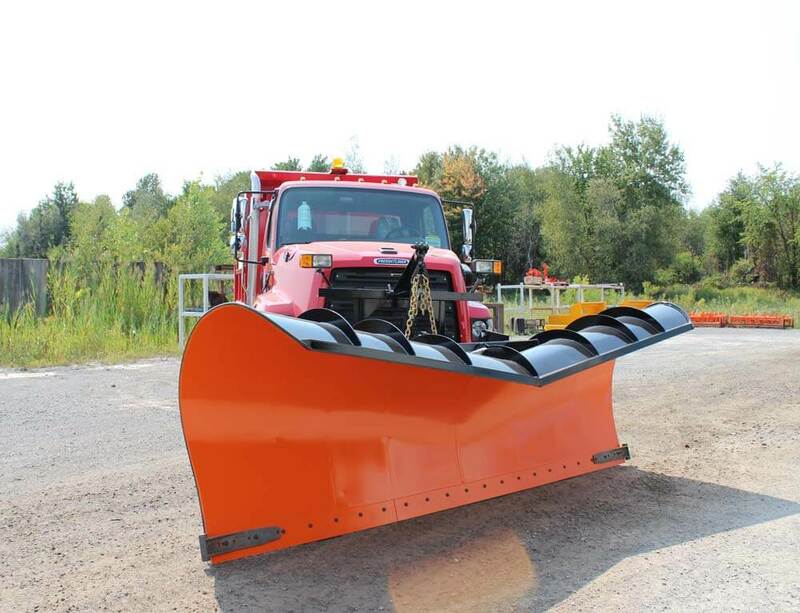 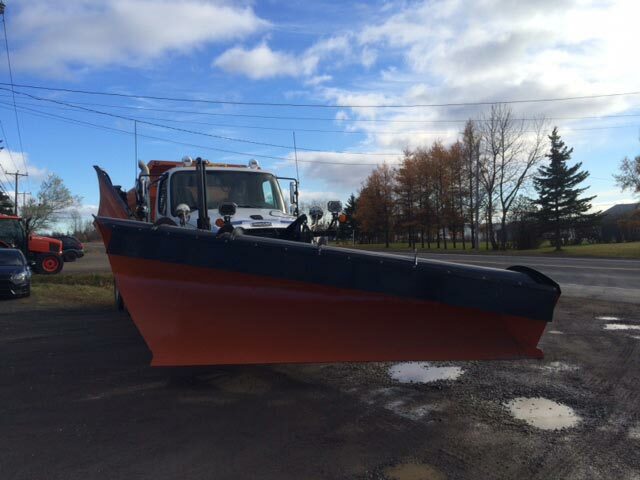 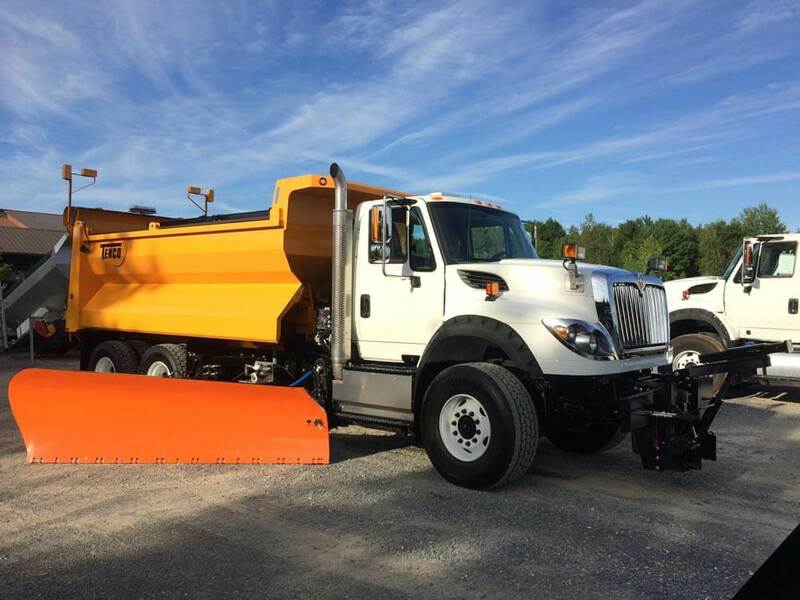 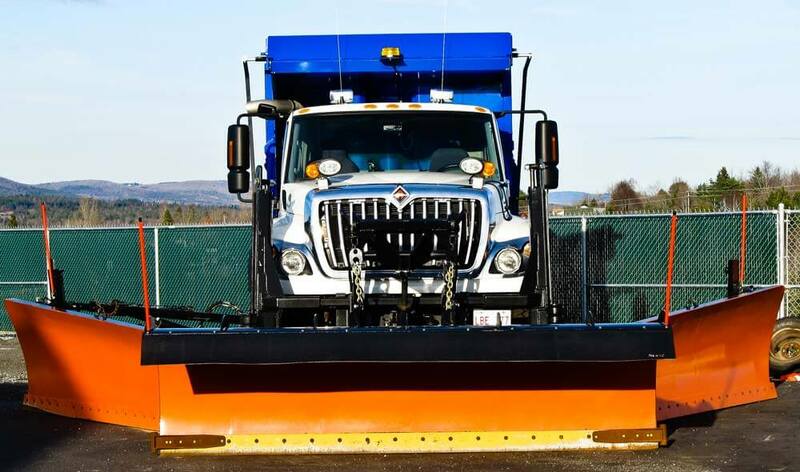 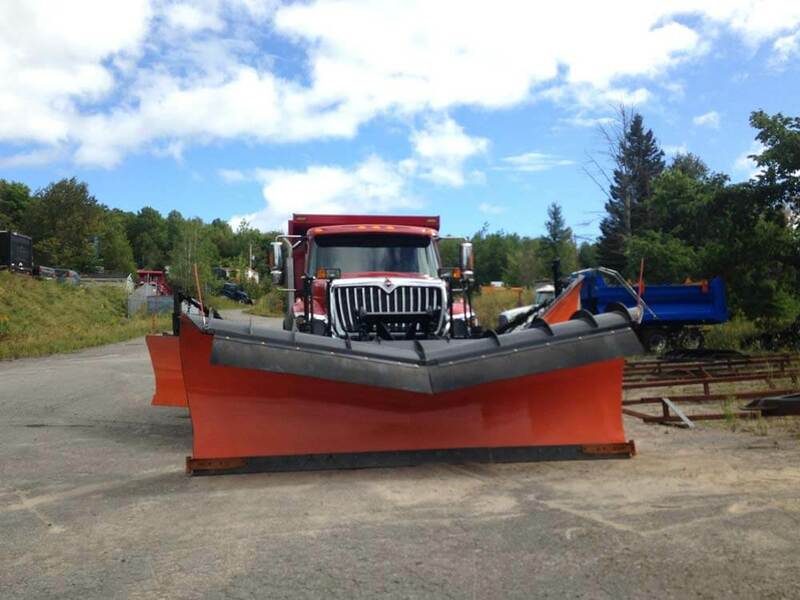 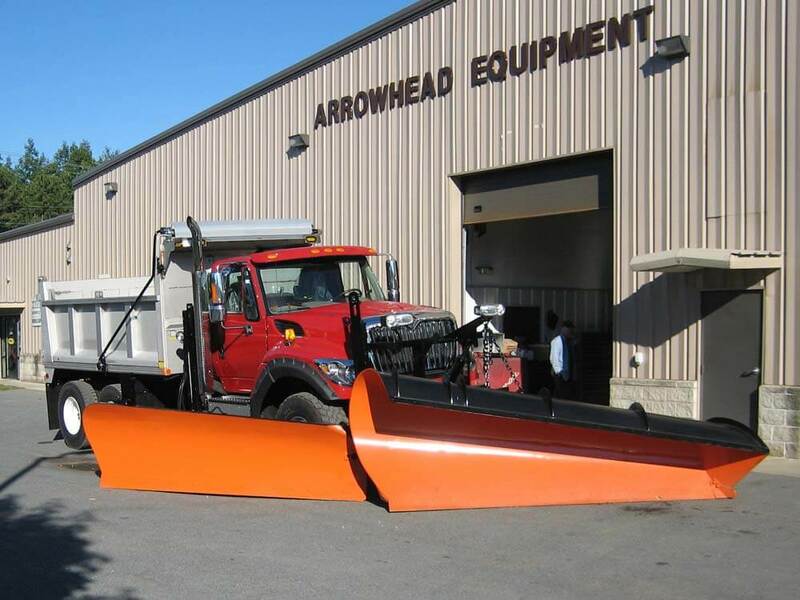 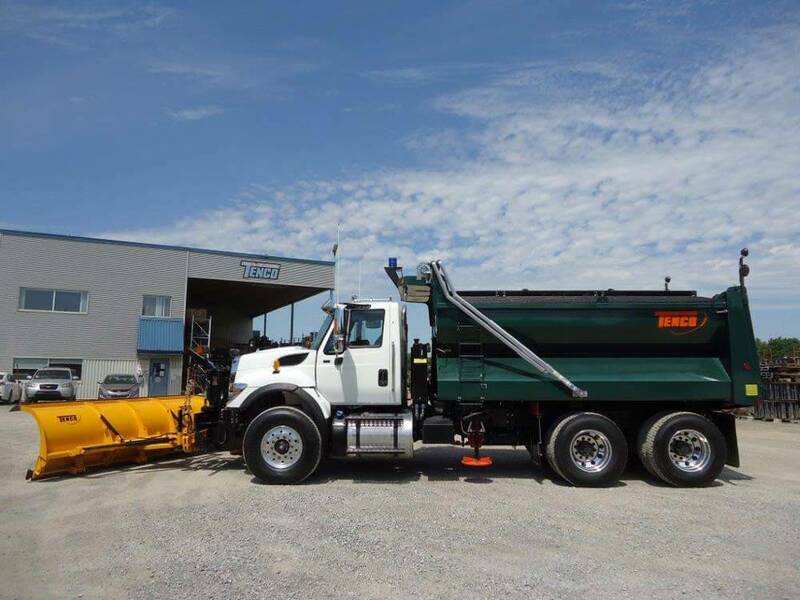 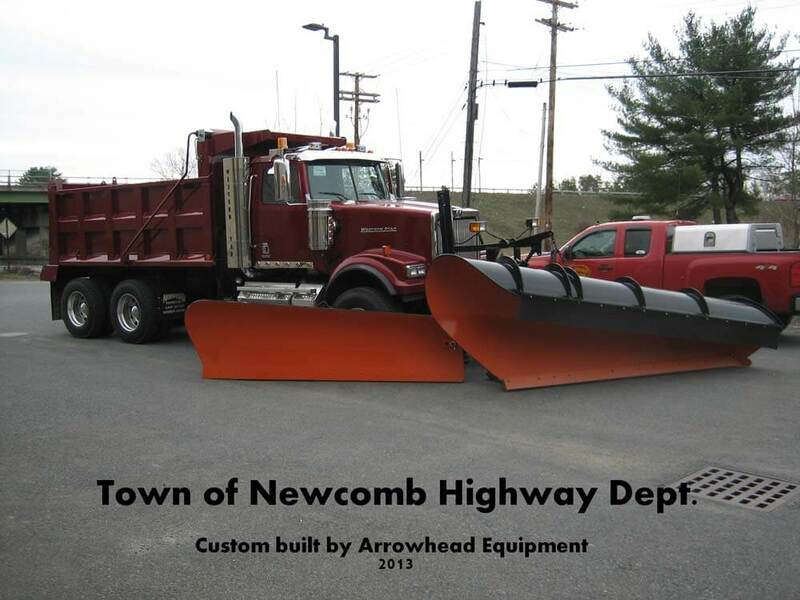 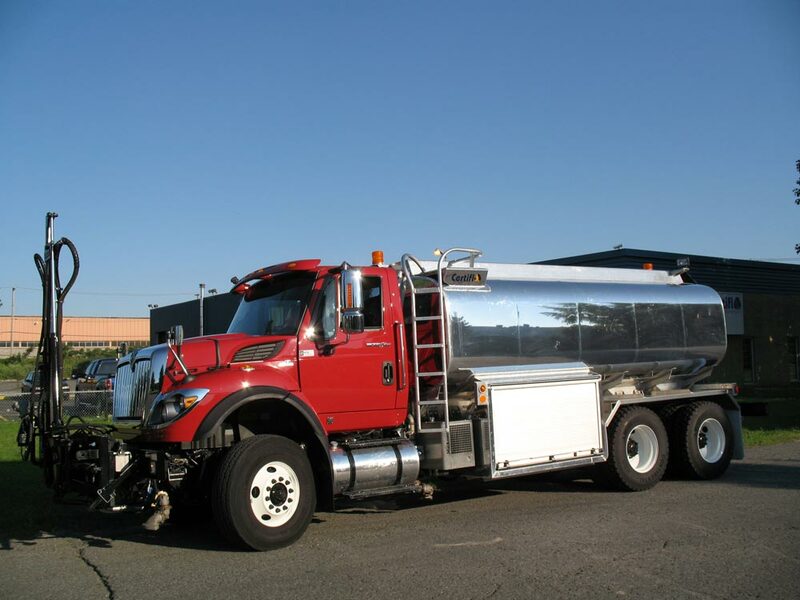 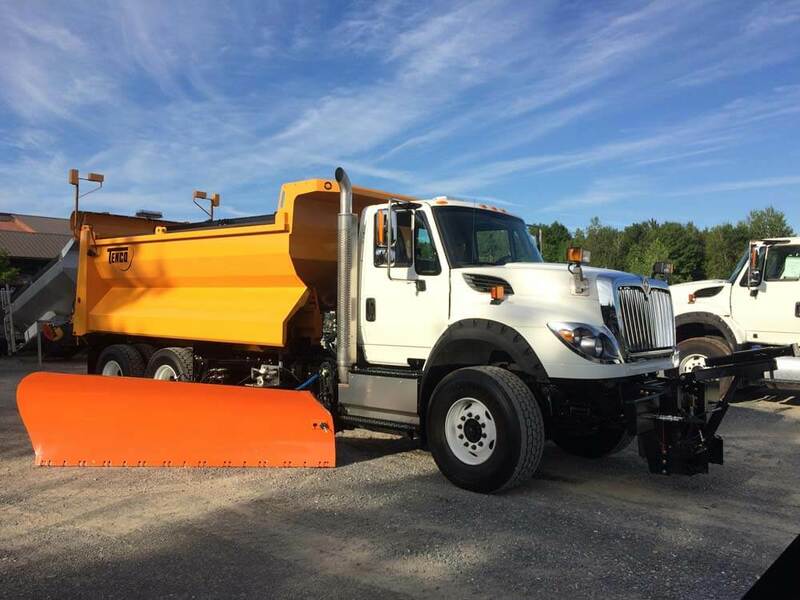 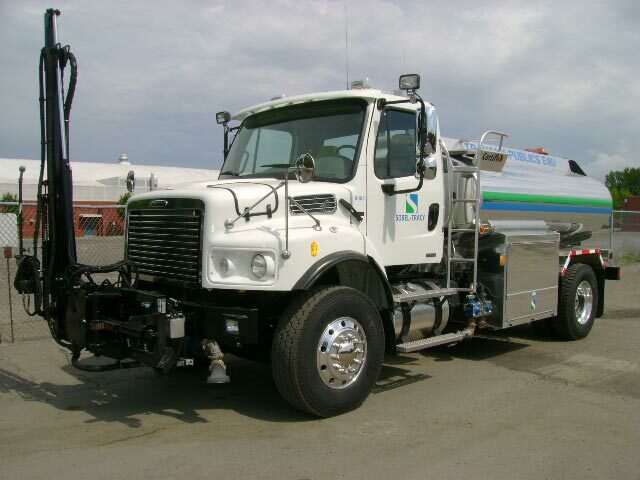 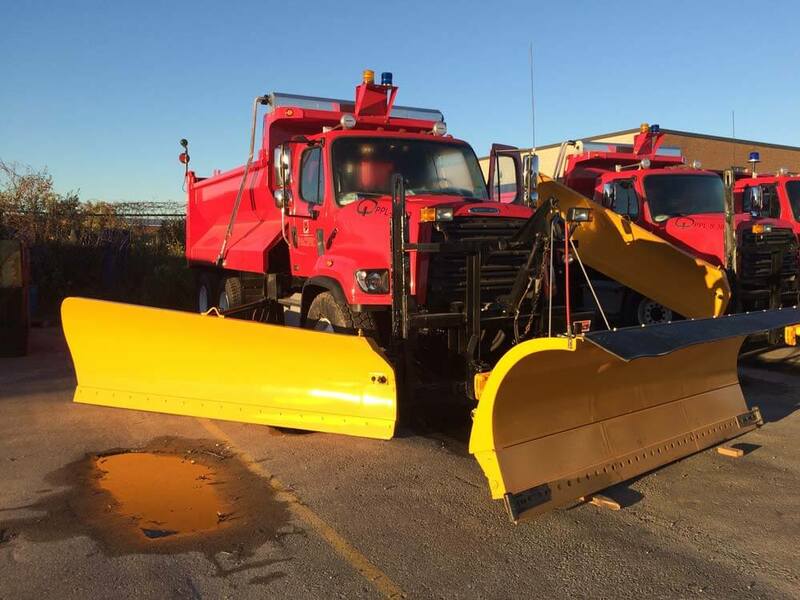 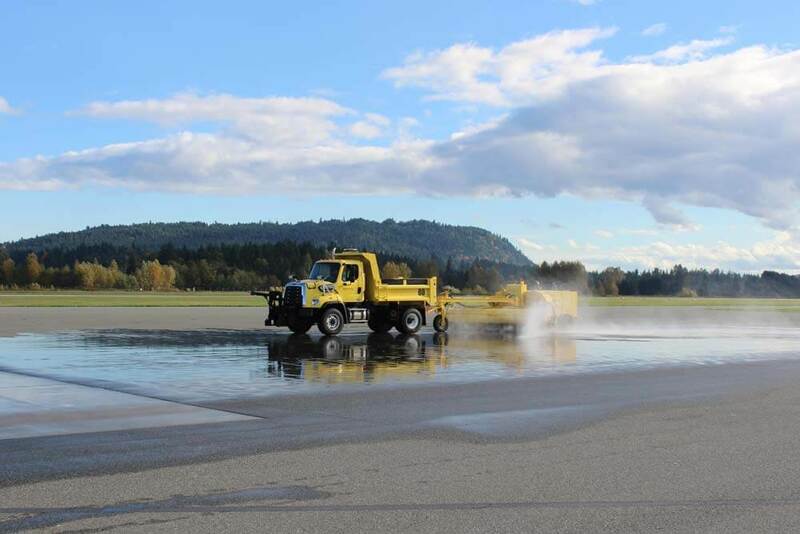 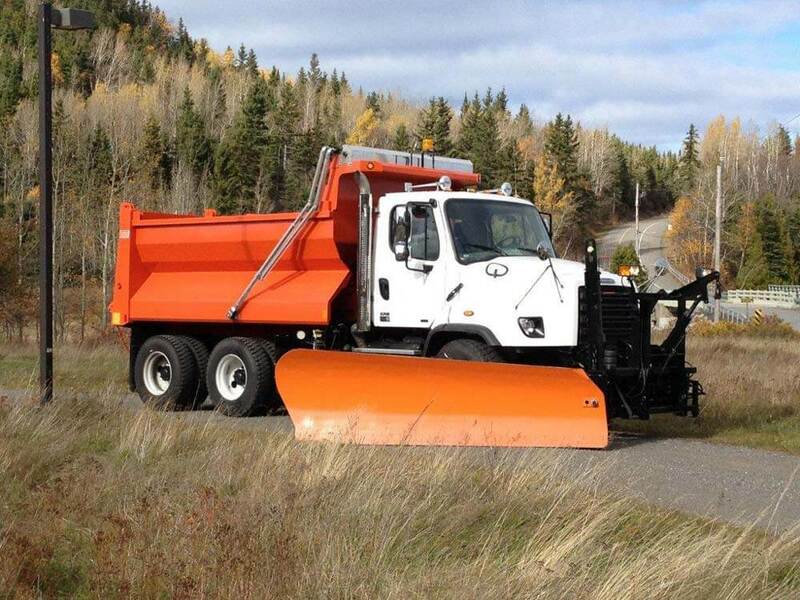 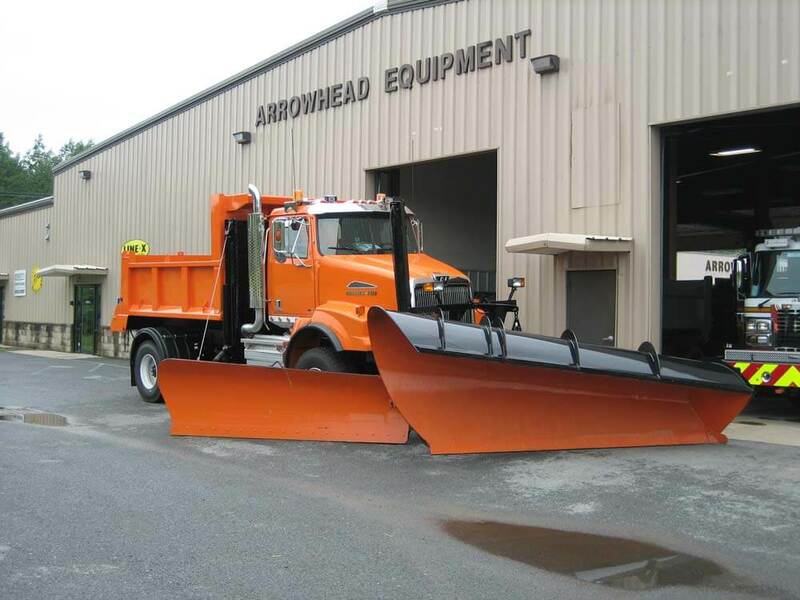 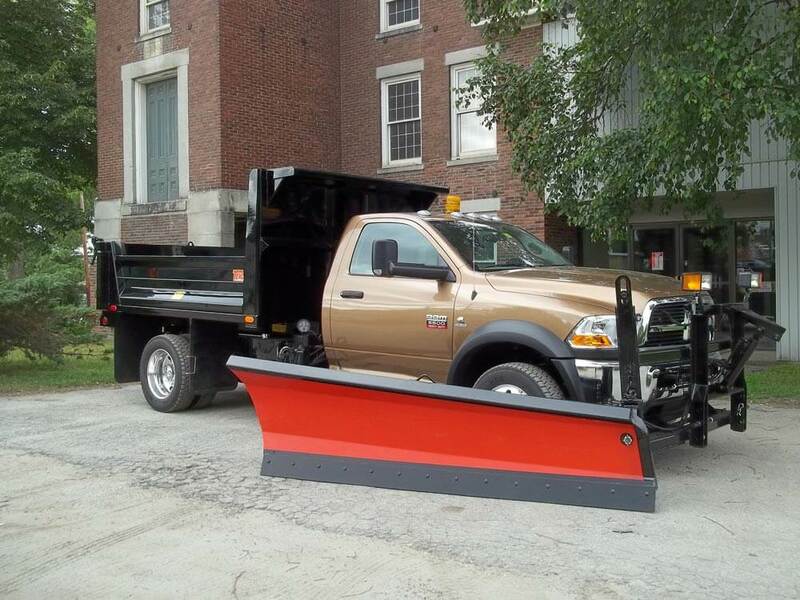 – The ability to carry a minimum of 200 gallons of anti-icing liquid for the pre-treatment of roads. 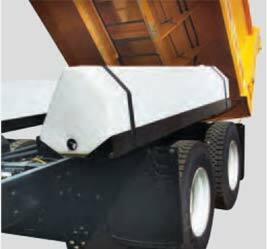 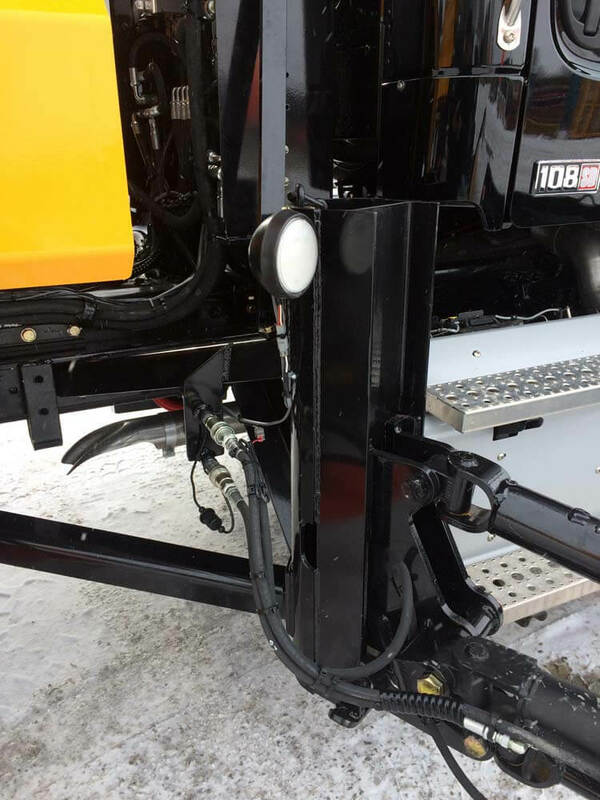 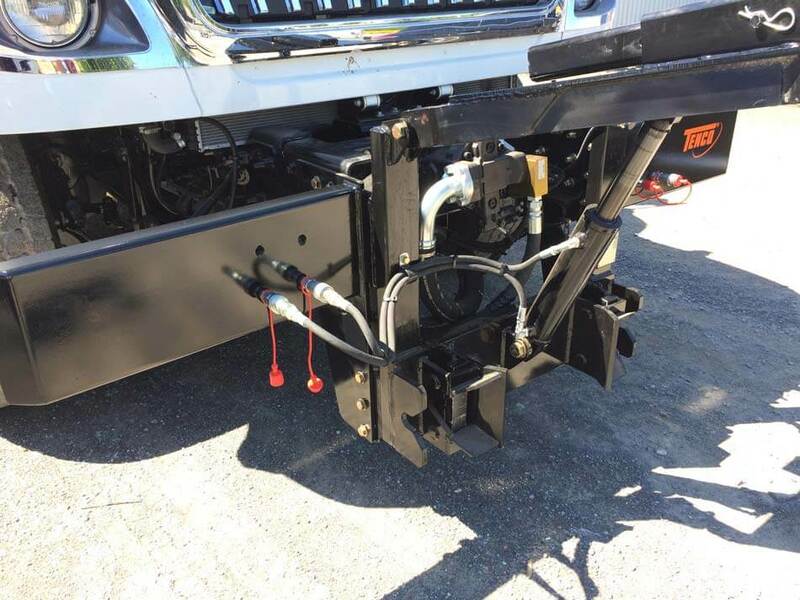 Optional pre-wet liquid tanks* installed inside fenders for protection. 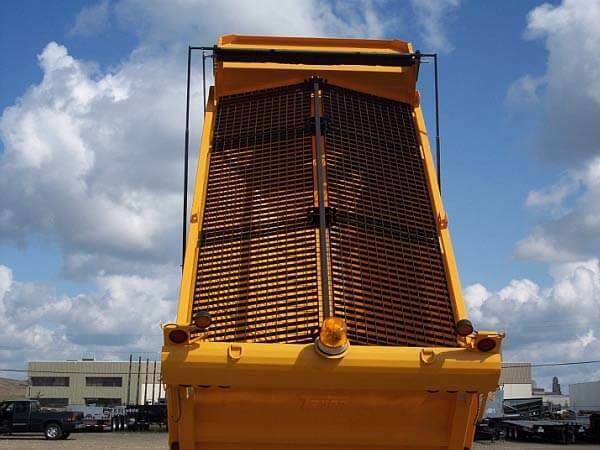 Optional pre-wet liquid tanks* installed below cabshield. 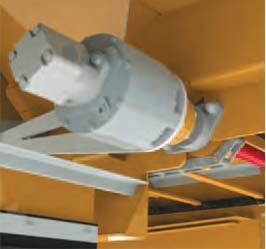 Main conveyor is driven through planetary drive mechanism utilizing a 10 cu in displacement motor and 2” diameter driveshaft. 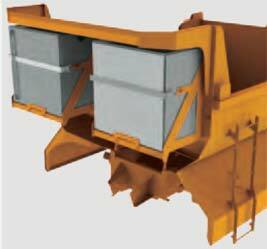 *Tanks are constructed from long lasting polyethylene material.